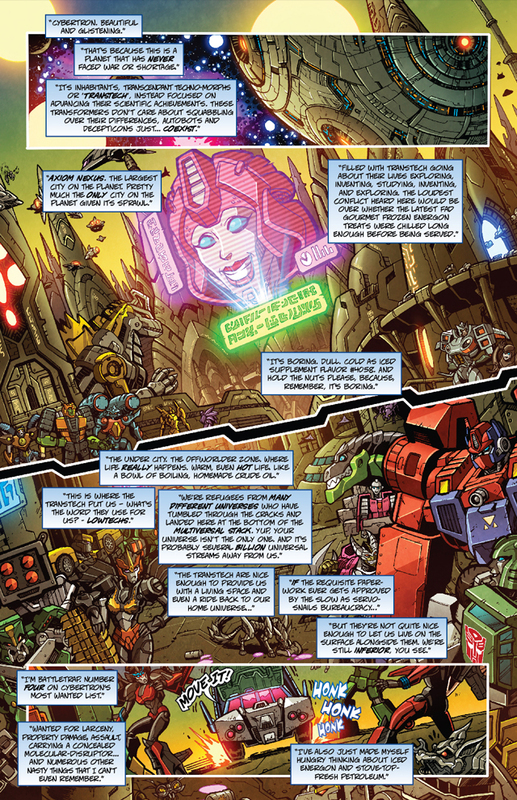 This page covers the BotCon announcements and news leading up to the Convention, and my own plans for the entire trip. Before we start, I do need to make it known why there is some negativity to FunPub (not BotCon) in this page, and that it is all objective as it can be proven from my own poor treatment by FunPub, and witnessed treatment of some of my friends and other fans. I want to make it clear that I am a fan of the BotCon convention concept, as I "needed" it to see me through some bad years. So now it has become the annual holiday that I would still like to do each year and look forward to all year (as you can probably tell from the sheer comprehensive length and detail I go into with these Adventure write-ups)... so to me, I still "need" this, and while FunPublications are running it, I see it as a necessary evil. But I want it to be made clear that I will remain a supporter of the Convention, even if I am currently not impressed with the actions of the Company running it. They are two different and separate entities for the purpose of this write-up, which might be hard to comprehend, but praise for one (BotCon) is not praise for the other (FunPub). This is due to FunPub defrauding non-American customers of hundreds of dollars of excessive shipping, and then preventing us from being able to claim a refund when we asked about it (by no longer declaring the shipping amount on the boxes), despite them assuring us that they would voluntarily refund excessive postage estimates. After all, they still to this day proactively chase up people when the estimate is less than what is paid (by as little as $10), but refuse to proactively refund excessive estimates of up to $100, at an average of US$55 over several orders... isn't that the definition of fraud - to obtain goods or money by deception or breach of confidence? Surely they make enough profit from shipping charges that they aren't entitled to, to cover the rare occasions that it is under-estimated. The full details of this matter can be seen here (half-way down the post, after Pete's quote), and how it promised to be responded to, but was ultimately ignored. Then at the Convention I asked Brian about allowing this to happen, since he's the one in charge and the one responsible for everything in the Company, and he said to ask Customer Service. So after being brushed off by two of their senior staff about being cheated out of several hundred dollars (which is why I stopped buying from the Club Store for items that I can easily get elsewhere, and no longer promote using the Club Store on the Australian fansite if people have other options, which lost FunPub thousands of dollars in Australian sales just so that they could pocket a few hundred dollars or extra profit from excessive shipping that they prevent us from claiming back)... who in their right mind would publicly support FunPublications if you've suffered that treatment and be snubbed by them when you try to get answers or to get it fixed. I will keep going to BotCon for as long as I still "need" it, but now I just wait for the day that they blacklist me from the Convention, to punish me for making this fraud matter public (instead of them fixing it and earning back the trust of their non-American customers). October 25th (24th in America) 2014 - about 7am Brisbane time. Location and Dates announced by twitter and/or facebook, after a tease of the BotCon logo the day before. The announcement is earlier than usual, but timed to try to distract fans from the TFCon that was starting later that day, as the TFCon (which is run by Transformers fans) was having its first Convention in America (after previously only having them in Canada), and is seen as the alternative to BotCon by all the fans that have been burnt and ignored by FunPub (that runs BotCon). 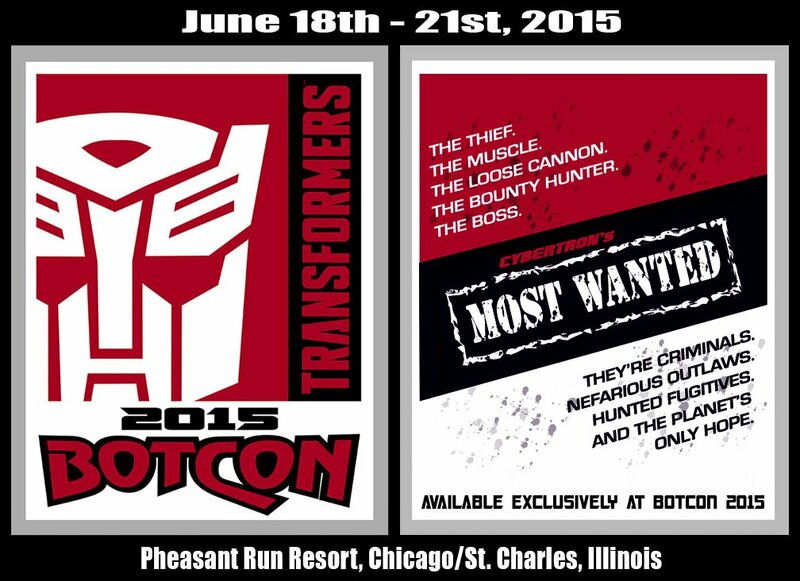 BotCon is headed back to the Midwest in 2015, show to be held in St. Charles/Chicago, Illinois June 18th – June 21st! Sun 21 - open to everyone. The Convention Centre & Hotel block was announced on their website, with a link to room reservations. I don't get up until 11am this morning, and was doing cleaning around the house until about 2pm, when I found that my phone had run out of power during the night so I didn't get the 9am txt from UltraMarginal, alerting me to the announcement and the Hotel rooms being open for reservations. So it was seven hours after it was announced, I check the reservations site, and only two days are still available (15th & 16th - which means Wednesday onwards is already sold out). And neither of the Resort's phone numbers are working to phone in a reservation (it was middle of the night over there by this stage, so maybe the Resort is too small to have a phone manned at all hours). Getting past the issues of booking rooms, I was excited at first by the announcement of Chicago, as I had been there in 2003 for the Transformers Convention that was BotCon (but now no longer officially classed as a BotCon), and I have been dying to go back ever since. It was one of my earlier "BotCons", so I didn't get to do much exploring back then, and I fell in love with the Chicago Style Pizza... so it was one of the first things on my checklist for this year. 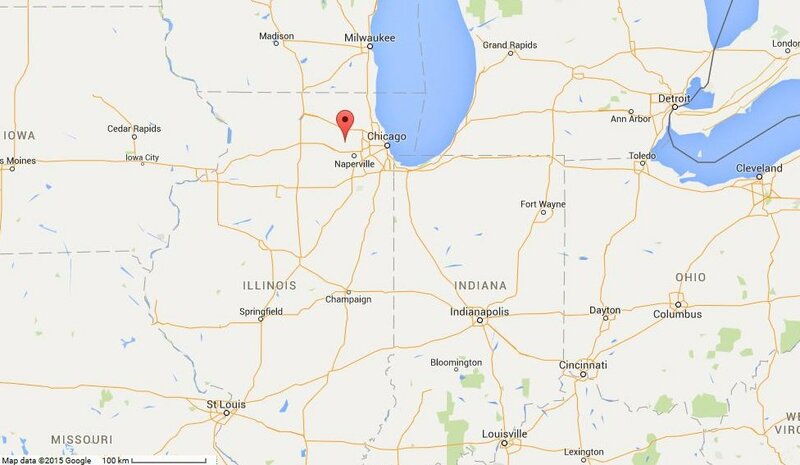 But then I did a google-map search for St Charles, and found that it was 64kms drive west of Chicago City, and Google was telling me that I would need 2 trains and a bus or taxi to get to the Hotel from the Airport, and it was estimating 2-3 hours (if the connections were good). Admittedly, the Pasadena location is of similar distance from LAX airport, and would take as much time and about 3 legs of public transport as well, but that was because it was on two different sides of the city, so it was still part of the same city. St Charles is on the same side of the city as the Airport, but is just so far out from the Airport and City Centre, that google-maps showed its location as being a quarter of the way across the state of Illinois. It was essentially a town outside of Chicago, that was so far out that the Chicago train network doesn't go out that far. We would need to use a different, long-distance train network to go between Chicago City Centre and St Charles. The Map of the "mid-west" above has a fair few of the past BotCons now... with most being before FunPub (2005 onwards). Fort Wayne (Indiana) - 1994, 2000, 2002. And just above the state of Iowa, was my first BotCon in 1999 at St Paul Minnesota. All the rest were in California (6), Texas (2), or an East Coast state (4 - New York, Nth Carolina, Rhode Island, Florida). Looking up what is near the Resort, across the road is a Hilton, and a block over to the west is a Country Inn. At least if this Pheasant Run stays booked out, there are two other options within 500 meters. 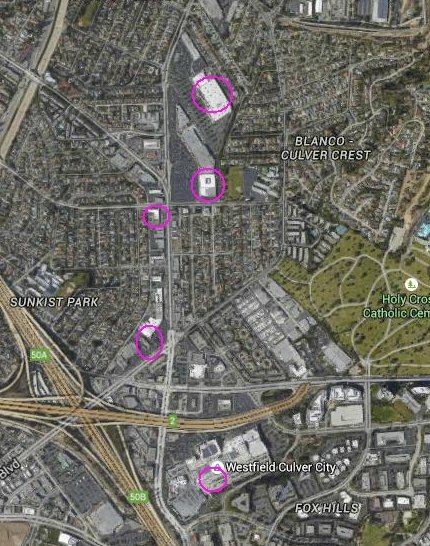 Also a block to the west is a Walmart and a Target... so two of the three main toy sources in America (TRU being the third) were just 5 minutes walk away... which is really rare for a BotCon to be that close to major Retailers. The closest they've ever been for the 14 or 15 of my previous BotCons was Pasadena, and it was 15 minutes walk to a single Target store. Both Retail stores will have an extensive grocery section, so "real" food won't be a problem this year, especially with Walmart being a 24 hour store. As for "faster" food, this retail precinct has a McDonalds, IHOP (very recommended), Olive Garden, Chili's (Mexican themed franchise), Chipotle (another Mexican themed franchise), On The Border (yet another Mexican themed restaurant - rather odd for a northern state). A bit of a walk further (about a Km or two), is Panda Express (Chinese), Subway, Papa Johns Pizza and DeGeo's Burgers & Gyros. Actually quite a few pizza places, which is good for me as I hope at least one delivers. The TGIF = TGI Fridays restaurant, which showed up on the google map, but was actually closed when we got there. And it wasn't the only thing abandonned there. 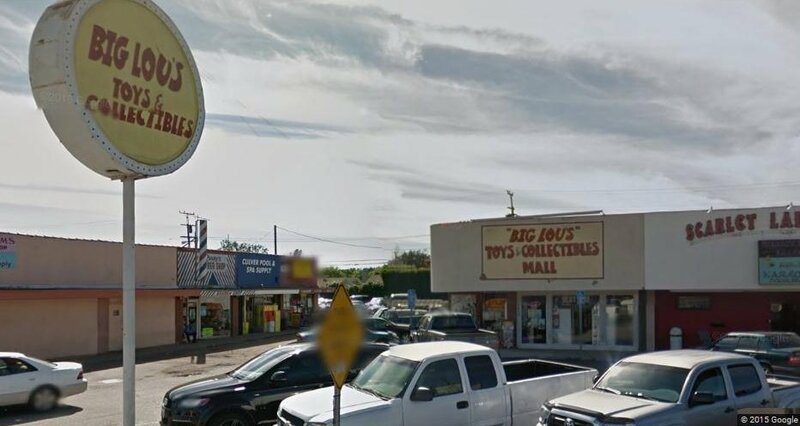 Next to the IHOP was an empty building on google maps, and I heard that it used to be a ToysRUs (which would have been great if it were still open while we were there). Also near the IHOP is the "Charleston Mall", which was a large shopping centre, but looking up their website and Wiki, it has been mostly abandonned, with just the major stores and Cinema on the ends left open. All of the interior with the smaller stores had been closed up a few years ago as the owner of the centre pretty much ignored it and let it fall apart. Apparently it was bought up last year and is in the process of being rebuilt, for a 2016 re-openning... so a little too late for us this year. At least there is a Cinema complex there if people are left with nothing to do and nowhere to go. The location is very unusual and "remote" compared to previous years (not close to an Airport or a CBD), so I think they are going to struggle to get a lot of people to attend, let alone get many walk-ins (which is the bulk of their profit margin). They usually struggle to get Americans to travel more than a couple states for BotCon, so even though a central state like Illinois may look like a great idea, for some reason it puts off people in the most populous states of California and New York that are furthest away from Illinois. And if they take into account the added cost and time of getting to the Resort from the airport (of which O'hare is noted as being the most expensive in America), it might be enough to put off people who are sitting on the fence this year. If I go, I will probably try to get in there on Monday 15th and check out the two department stores before other fans start arriving... then spend the entire day in Downtown Chicago on Tuesday sightseeing/exploring (I can look for Movie locations used in TF3 & TF4), before the Convention activities begin on the Wednesday. I also want to do something else before I get to Chicago... so I might spend 2-3 days somewhere on the way, which could allow me to arrive early on the Monday and get to the stores first. The Resort didn't sound very big at first, but having a look at it's features, they have 3 or 4 themed restaurants (the New Orleans one sounds interesting, with All You Can Eat options), live entertainment, three pools, a Wellness/day-spa type thing, and of course it's biggest selling feature, the Golf Course. Wireless Internet throughout the resort seems to be a key marketing element as well... but it is likely to have a heafty fee to it. 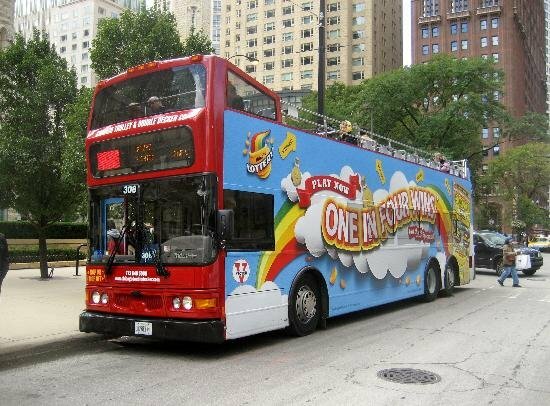 Their FAQ and contacts page on the Resort website gave details on how to get to or from the airports or Downtown Chicago, which included mentioning a shuttle-bus from the Resort to the nearby Trainstation (if using public transport). For some reason the FAQ was removed a couple months later. Both have cheaper "advance purchase" rates, but they are non-refundable... so you'd want to make sure you go, and the dates are exactly what you want. 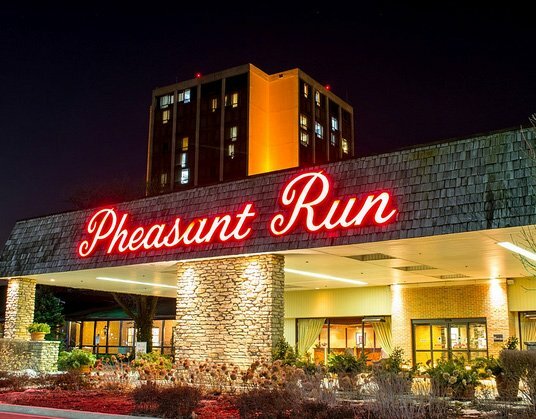 Looks like Pheasant Run's cheapest regular rate (the Resort Rooms) is also US$129 (plus tax)... but they currently have a special rate for the period of the Convention, in that you get your third night free, making it US$86 per night (plus tax). That compares to the BotCon rate of US$114 per night, but you will probably get a better room at the BotCon rate. (I think this was true, as I heard that people on the more expensive BotCon rate were in the Tower, while people like me who were on the cheaper rate were in the wooden cabin-style "Resort" buildings. 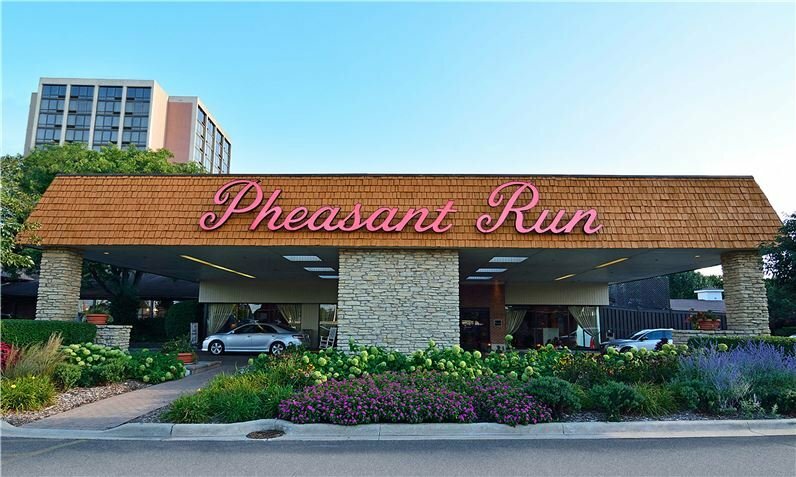 Looks like Pheasant Run has a Resort Fee (like Disneyworld had, and I think the San Diego "resort" had) as a sneaky way to squeeze out more money from people while making their room rates look cheaper or more competitive with the nearby Hotels. It looks like it is $11 per day... but I couldn't find anywhere on their website as to what it actually covers. The annoying thing is that it doesn't look to be optional. If it is a standard fee that you can't avoid, then it should be included in the room rate (but then they'd be the most expensive Hotel in the area if they did... and those accomodation comparison websites probably don't count the added fee). - free parking (we didn't have a car to use it). Sales/Room Tax is 11%, and it applies to the Resort Fee too. 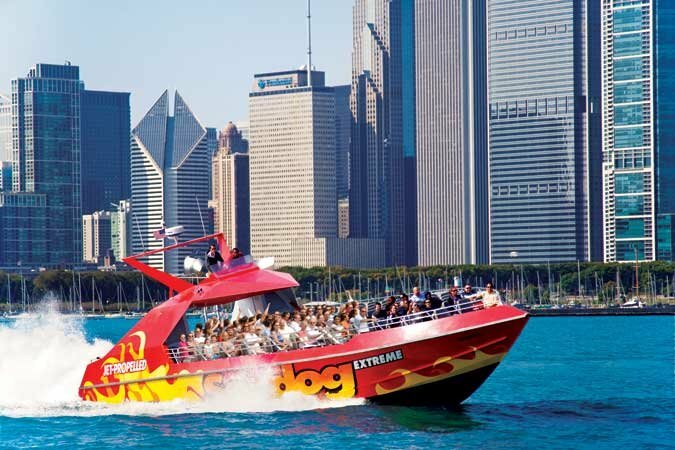 I also started looking up things to do while in Chicago, for me and anyone else thinking of going. 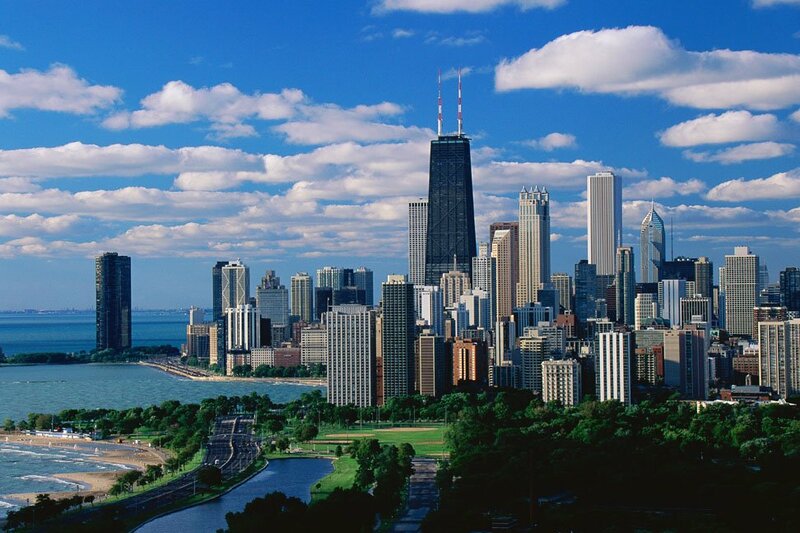 Some images of Chicago that were on some of the Tour websites... to get you into the mood. When you ignore the criticism of the timing of the announcement to upstage TFCons, the location is being well received by those yet to be burnt by FunPub. After the last four years being California and Texas, this is a nice change in location... especially for long-distance travellers like myself who are more inclined to do something else while in America, so prefer to explore new locations if it isn't a regular location like Pasadena that has a heap of things to do nearby (Hollywood and the Themeparks). In some respects I feel sorry for FunPub, in that they can't seem to maintain momentum when they finally do something good. Now they are going to be perceived as acknowledging the popularity of TFCon by openly competing with the fan-run Convention, instead of just focusing on their own Convention as the "Official" one to get people to attend it based on that fact (if they haven't been burnt by FunPub in the last five years). October 26th - 3am Brisbane Time. A few hours after this early morning phone-call I did a new reservation at the full rate for the seven days, and selected the "3rd day free" deal, but the website total didn't adjust according to the deal and the confirmation email didn't show the total amount either. Since I couldn't see anything on their website to explain how it is charged (if you don't pay for the free days at all, or if you get credited on check-out with your free days), I emailed them for clarification, and I got an updated reservation email that showed two of my seven days not being charged at all. Even after they adjusted my "BotCon Rate" reservation three days later to be all 7 days at the BotCon Rate, I was now saving a little over US$110 on my "3rd day free" reservation compared to the BotCon discount rate reservation, which was already a saving of about US$186 on the regular rate. My 7-day "BotCon Rate" reservation was US$882.17 (with tax & fee), while my 7-day "3rd day free" reservation was US$771.15 (with tax & fee). For me there is always so much hassle with these things... it is so frustrating that it is never easy or straightforward or ever perfect. There is always something to spoil the fun. I hope other people had an easier time with their reservations. A fellow Australian member of the Ozformers fansite (Fatbot) was the first person to declare interest in going next year and offered to share with me to cut costs. I won't be deciding for sure until the Brochure comes out (probably in January), to know how long I will want to be in Chicago, and if I'm going somewhere else on the way (probably Vegas again, but for 3 or 4 nights this time). Another Australian (Mayza Prime) experessed interest in going next year, but later declared that he wasn't going. From Chow Masters and Man Finds Food I saw a heavy presence of Hotdogs in Chicago, which I didn't realise. I always thought of New York as being the city for Hotdogs, but it seems that there is a Chicago Style Hotdog that would use beef as the meat instead of pork, pickled cucumber, and the strict absence of ketchup. Something for my list of things to do if I go. They also referred to Chicago as "Chi-town". I've never heard it called that before, until this week when I saw people using it on two fansites in the BotCon 2015 topics. I thought it was just some lazy slang by a couple people... but it seems to be something more mainstream now. Or maybe it's like "Bris-Vegas" for Brisbane, in that it is a trendy word that others use, but people who live here cringe at the sound of it. Issue 60 of the Club Magazine starts arriving at the homes of American members and says, "We will have your first look at the BotCon 2015 figures in December, so stay tuned to BotCon.com for all the details. Also, registration for BotCon will be starting soon." An email from FunPub saying that the announcement of Registration would be January 1st, and, "In addition, we anticipate that the BotCon registration will go online around the end of January so watch for the set announcements coming at the first of the year." A tweet by FunPub for the next issue of their Club Magazine (issue 61, which doesn't come out until February), saying that the "moustache" is returning (which is a Shattered Glass concept), there is speculation that the 2015 BotCon could be a return to Shattered Glass/Mirror-verse. BotCon 2015 does NOT take place in Shattered Glass. Sorry. (snip) SG STILL is one of our best selling concepts though, so I am sure we will be visiting the concept again in toy form. But that only rules out a return to the Mirror Universe, it doesn't rule out Mirror-verse characters in the regular Universe, like the Invasion story in 2012. Apparently the theme of next year's convention will be announced in the week of New Years Day. It will NOT be a con(vention) set theme we have done before NOR will it be set in a Universe that we have used for a con(vention) set before. So.... it shouldn't be a theme that they've done at a previous BotCon (like Beast Wars, Machine Wars, Mirror-verse, etc), nor will it be a story set in an existing Universe used for a previous BotCon (like Wings Universe, Gen1/BW Universe, Mirror Universe). 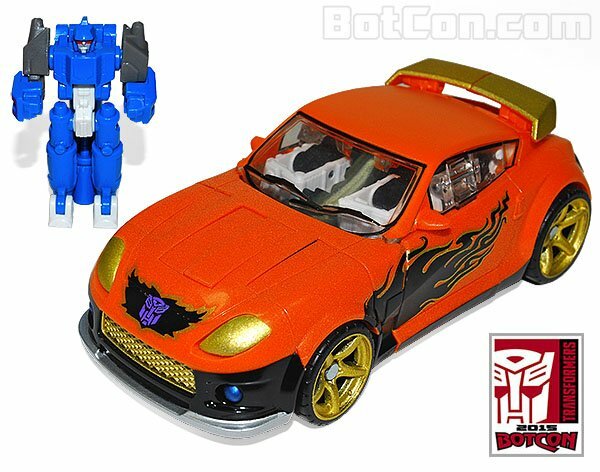 However, it should be noted that the tweet was a clarification, that now suggests that they have used this theme somewhere in their past toys or Club Comic, but NOT as a previous BotCon comic or box-set of toys. Unfortunately, they have 10 years and over 150 toys to narrow down to what that could mean. It would probably be quicker just waiting the two weeks and seeing the reveal. 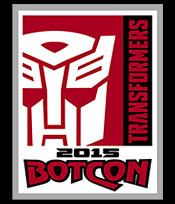 The BotCon 2015 website has been updated with its first banner, advertising the theme of the convention next year. They tweeted a shortened version of the banner (below) which says what Universe it is set in this year, and if it is re-tweeted 250 times, they will release some early art from this year's comic. 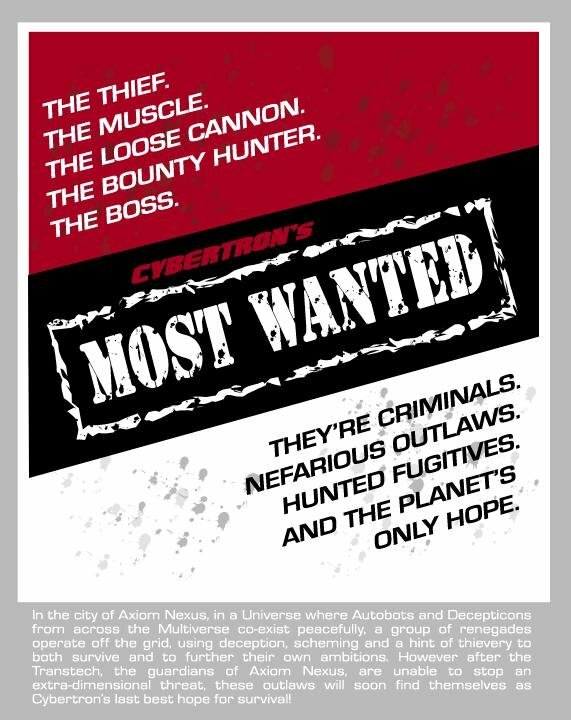 In the city of Axiom Nexus, in a Universe where Autobots and Decepticons from across the Multiverse co-exist peacefully, a group of renegades operate off the grid, using deception, scheming and a hint of thievery to both survive and to further their own ambitions. However, after the Transtech, the guardians of Axiom Nexus, are unable to stop an extra-dimensional threat, these outlaws will soon find themselves as Cybertron's last best hope for survival! The character descriptions at the top made me think Beast Wars, but the group description at the bottom suggests Decepticons/Predacons... or Mirror-verse Autobots/Maximals. 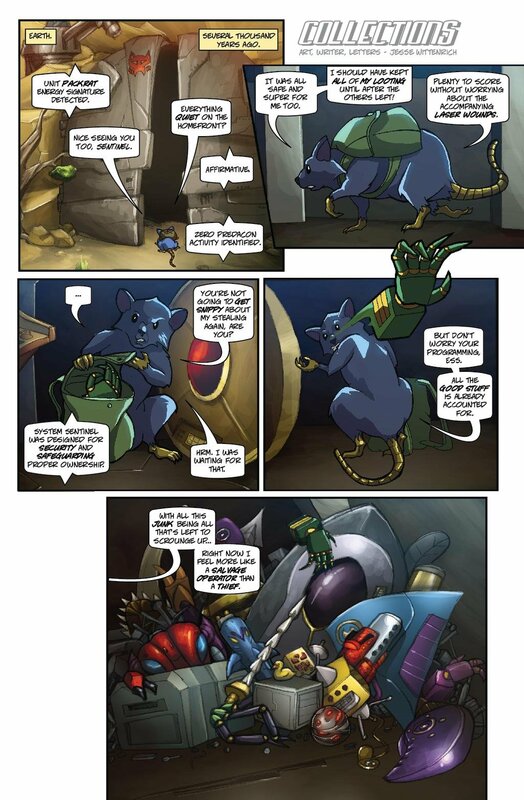 Since they reached their 250 target, they released a preview of a page from the comic (in pencils and inks), and there looks to be a number of IDW universe characters in it. I think it says Matt Frank at the top as the artist for the 2015 comic. I can see Windblade (actually two???) in the bottom panel of the page, and I think Skybyte... those who follow the IDW comics will probably recognise more of the characters. Maybe the Windblade mould is being used for a couple toys this year if both at the bottom of the page is her mould. The giant fem-bot head had me immediately thinking of Marvel UK Auntie, but it might be something in the IDW comics that I haven't seen yet. 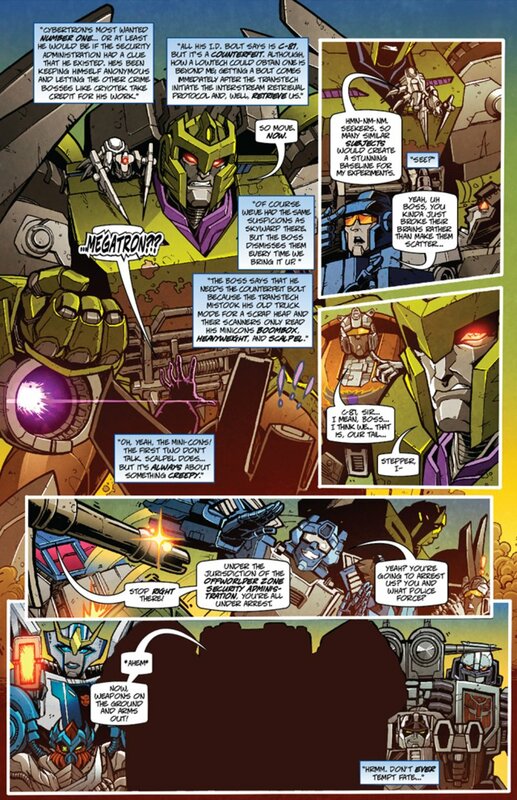 And since the BotCon comics recently have been throwing in non-Transformers Easter eggs, is that a Dragon-zord or Zoid in second panel, or a Transformers character from the IDW comic that I'm just not recognising? Apparently Pete from BotCon was doing a podcast yesterday, and it seems that he might have accidentally had a few of this year's Convention toys behind him that briefly got into shot. Will there be a Shuttle Bus for BotCon 2015 (because it is 45 minutes from O'hare airport)? - something they have recently talked about, so will aim to have something worked out and announced. Registration for BotCon 2015? - was aimed for end of January, but will now be later... after JoeCon registration starts (which is supposed to be soon). So it's now back to being an unknown, undetermined date. Registration is actually being held up by the Toys... they haven't got the final samples yet, and their preferred schedule is to reveal the toys (and Brochure) before Registration begins. 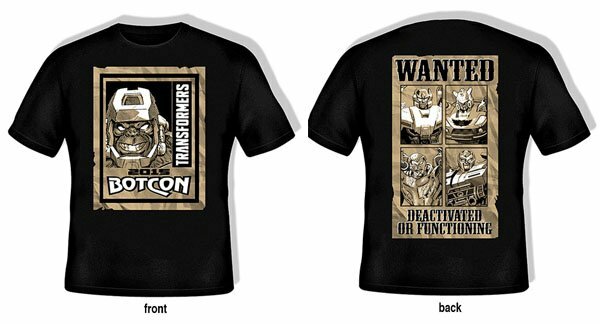 What to expect at this year's BotCon? - wait and see, but this year is "more ambitious"... which says something, after last year's Scorponok was already ambitious. The future of BotCon? - no plans to have two in a year like TFCcon, as a way to cover both sides of the country each year. I couldn't make out any of them, so some people are certainly better with identifying toys from blurry images. 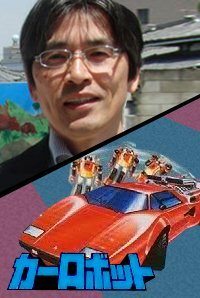 So we get word that the toy reveals and registration have been delayed, but since it was not emailed out or released through official BotCon channels (Pete was just a guest on someone else's podcast in an unnofficial capacity because he spoke more about himself and his collecting than about BotCon), it means that for the member and prospective attendees for this year, it is almost the end of January without any official announcements or updates on the release of Registration or toy reveals... despite promising that it would start in December and January. Delays happen, especially when you deal with Hasbro (I have to deal with it often myself, so will never complain about FunPub being held up by Hasbro), so I have no issue about delays that are out of their control... but they aren't doing themselves any favours by not keeping us constantly informed of things like delays, especially when they are beyond their control. In the age of the internet, with twitter/facebook and email being instant, there is no excuse for not keeping up a professional standard of communication with your paying customers. A day or two in the Internet and Twitter/Facebook world is like a lifetime... so a month or two without updates is an eternity. The only thing worse than a failed deadline, is extended silence about a failed deadline, because people will start assuming the worst without giving you any benefit of the doubt or sympathy towards issues that were actually beyond your control. It also says to check out the website for the boxset toys... which weren't revealed for another two months. Indianapolis Children's Museum is to have a 30th Anniversary exhibition for Transforemers, from March 7th to July 26th this year... which is perfect timing for BotCon, which is only a state away (and American states are a lot smaller than ours, so it's like a 30 minute flight or 3 hour drive away from Chicago). Two weeks later when it started, we got to see photos and video of the exhibit, making me want to visit it on the way to BotCon, if I decide to go this year. (I was still yet to commit to it). Toys at the Exhibit were from the collections of the Hartman Brothers (who started BotCon, and I think still live in the state of the Exhibit), and Pete from FunPub as well. Fatbot was now confirmed to be going, with travel booked and paid. 12 days before the first activities of the GIJoe Convention this year, their pre-registration begins, beating last year's record of just 14 days... leaving us Transformers fans worried about how last-minute our registrations might end up being this year. The first announcement for BotCon of a Guest or Toy is made. 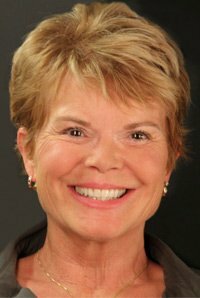 Frank Welker is announced as a guest, which is great news... and you know who's going to be in the Hall of Fame this year. This makes it harder to not go this year, as Welker is the holy grail of Transformers Voice Actors, as he has never done a fan convention before... and he is one that I have hoped to see for many years. I even tried last year to get him to look at being a surprise guest at the Golden Ticket dinner at BotCon (because BotCon was near where he lives, and if he was willing to do a limited/restricted sampling of a fan convention by just being at the Golden Ticket event of just 100 people, I would then pass him onto FunPub to organise it... and hopefully it would lead onto being a fully fledged guest in a future year), and surprisingly his agent said he was interested but busy that weekend. The BotCon website press release says that access to Frank Welker will be through a VIP ticket, which sounds like it is separate to the Golden Ticket. If that's true, it is going to be expensive this year. 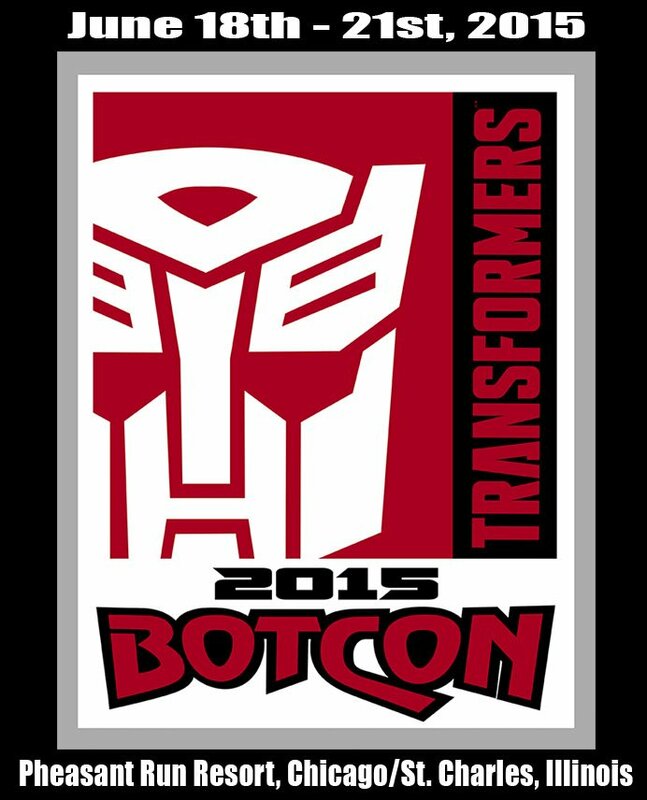 (fans) will be able to register for BotCon 2015 and purchase the “Frank Welker VIP experience” package. This package will contain ONE autograph from Frank Welker, ONE professional picture with Frank Welker, an EXCLUSIVE MEGATRON art print, an EXCLUSIVE MEGATRON souvenir pin and VIP seating at his moderated panel on Saturday. 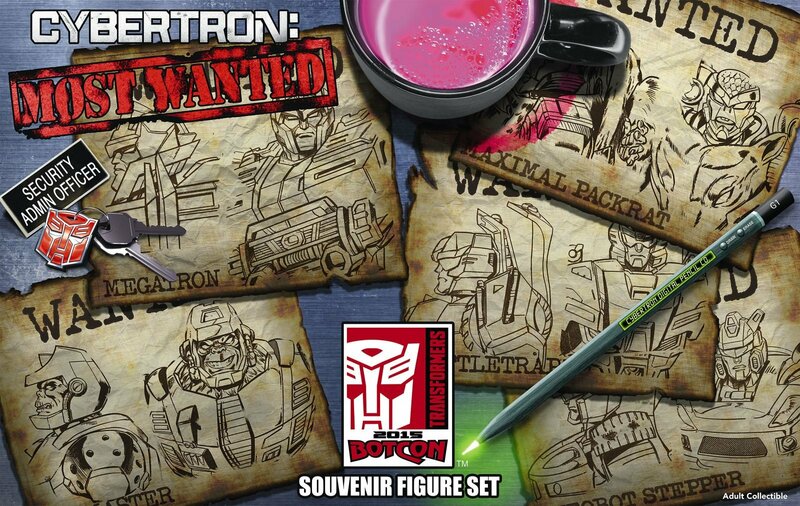 This package will be available to anyone who purchases the BotCon Primus package. Either way, it will probably sell out fast... so it will mean more early mornings for Australians wanting to go to BotCon this year who want this, on the days when pre-registration is expected to begin (because of the time-zone difference, their daytime opening of Registration is usually pre-dawn in eastern Australia). It now has me wondering if I was the one to get the ball rolling after trying to get Welker to attend last year, because it is a bit coincedental that he had shown interest, and then the following year he is signed up as a guest. I'm certainly not claiming any credit unless it is stated somewhere, but it is fun to dream that I had a hand in the Grail guest finally showing up at BotCon. Primus pack should be about $430 this year (*), plus the $300 Golden Ticket, plus a VIP ticket that is likely to be about $200. Then convert that estimated $930 into AU$, and we could be looking at a record breaking AU$1200-1300 just to get the full experience (if you are spending thousands to go all the way there, you don't want to miss half of it). The next month is going to be packed with BotCon info, more guest announcements and figure reveals. This is THE Transformers event of the year! Don't miss out!!! We've been waiting three-four months for some info to get excited about "THE Transformers event of the year"... and now during the month of April it will all be bombarded on us in rapid succession (because they need to get pre-registration started very soon). The news about Frank Welker would have crashed fansites five years ago and we would have had a record number of Australians wanting to go... but thanks to FunPub's handling of the Club and Convention in the last five years, I saw that there was barely 50-100 posts at each of the Global fansites, and about half of those were by the same people discussing the matter, or the details of the special VIP ticket. And how many Australians do we have that are planning to go this year... just 2 definites and a maybe. We had bigger turnouts 10-15 years ago when the AU$ was at 50us cents which made everything cost twice as much. Part of me... the old timer fan from the early days of BotCon... is actually surprised about the limited enthusiasm from the fandom over such a "holy grail" guest. While another part of me... the more recent fan who has been one of those burnt by FunPub, and seen how it has treated others with legitimate issues... is beginning to realise that not even the most wanted guest since Peter Cullen in 1997, can get people to put aside their bad experiences to show their support, or post about their intention in going. If Frank Welker can't get fans back to a FunPub BotCon, what can? Personally I feel sad, because I miss seeing that excitement within the fandom when a big name, first-time guest was announced (more than 4-5 years ago)... which also used to get more Australians wanting to go, and how both of those things made it even more exciting for me to look forward to it. I do wish that FunPub didn't burn so many bridges in the fandom, acting as if there were plenty more fans out there to fill those spots... and maybe this lack of *public* enthusiasm for the most significant Voice Actor at their disposal is showing us that the reserves are now depleted. They need to do something to fix their relationship with the fandom, because there is nothing better than Frank Welker, and even his presence couldn't get them to sell out of anything this year (the boxsets, at-show toys, Golden Tickets, and the VIP tickets - none sold out). To illustrate this point of reduced fandom support to FunPub's BotCons, 2011 was the last BotCon that they sold out their boxsets during pre-registration, even with the numbers of boxsets being reduced for the last two, and one of those years was a Movie year that should have seen an increase in people to the fandom and Convention. Even Hasbro stopped promoting the Official Club on their toys about a year ago. The big problem though, is that I just don't see anyone else in the fandom (individual or business) located in America who is willing and able to run the club and convention. Those who do have the resources and money are content with just running fansites or fan-conventions (which are easier to organise without the red-tape of Hasbro approval at every step when you are licensed). FunPub have a 20 year business history for the GIJoe club and convention, which made them the best candidate to Hasbro to take on the Transformers licences... and they appear to still be the only willing candidate to run the Club & Con. And if someone did step up who has no business experience but a lot of enthusiasm, we could be left with a short-lived mess of failed promises and lost money like we did with Glen Hallit when he set up the first Official Club and Convention. These were the emails to and from Frank Welker's Agent last year, to ask how to get him to Australia (which they didn't answer), and suggest BotCon as a way to test out a fan convention if he was a bit shy. 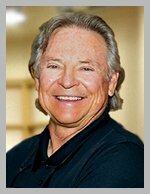 I administrate the largest Australian Toy collector community (Ozformers), and since many of our members attend various toy & anime conventions here, one Voice Actor that seems to be a “holy grail” to Transformers fans (here in Australia and America), is Frank Welker. For me to encourage one of the Australian convention organisers to look at Mr Welker as a potential guests, does he do conventions, and if so, what would be required for his involvement? Also, I’ve heard that the organisers of the Annual Transformers convention (BotCon, in America) have tried to secure his attendance in the past, but haven’t been successful yet, due to his busy schedule, and that he is said to be a fairly private person. If both of those are true, this year it is in Pasadena (if he is currently in LA), and the Convention includes an exclusive, limited dinner (of about 60 people) with the main Voice Actor guests this year, on Saturday 21st of June. I’m NOT associated with the Convention organisers, and do NOT speak for them in any way... I’m just a regular attendee that flies to America every year from Australia for the last 14 years, to see and hear the people who brought many of the famous and favourite child-hood cartoon characters to life.... and Mr Welker is one of the few from the 1980s Transformers cartoon (and other cartoons) that I have yet to have the pleasure of meeting. 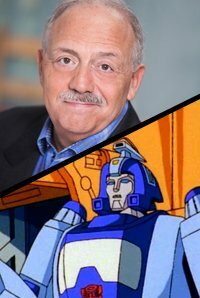 Due to the convenient location and small private dinner, I’d be willing to pay an appearance fee (if it isn’t anything excessive for just 2 hours of his time) to have him show up for the dinner, just for the benefit of the other attendees, and for the reputation of the BotCon convention... to have the most elusive Transformers Voice Actor under its belt. (and maybe this short function could also be utilised by Mr Welker, to sample a Transformers convention without being committed to a whole weekend and thousands of people... to get a feel for the dedicated fans out there that would love to hear more from him, if he ever decided to come to a future BotCon as a starring Guest). I hope you can at least ask him if this is something he’d be interested in doing, but if all that seems rather impractical, and too last-minute (I was told that he’s usually so busy that “last minute” is the only way the Organisers would be able to secure him), I’ll just stick with info on the requirements of an Australian Convention appearance, and hope that I can convince one of the Convention companies down here to go after him instead. Mr. Welker will not be in town during the Pasadena convention unfortunately. I will forward your email on to him however, in case there are any changes. I spoke to Frank he wanted me to express to you his surprise and delight in your interest in him and all things "Bot." He will be out of town but wanted me to thank you for thinking of him. He still has not participated in any "cons" but has not totally ruled anything out so you can always check with us in the future. Good luck and enjoy your event. Thankyou SO much for talking to Frank about my request. I'm amazed that he was surprised at the interest in him from our fandom, as fans have been hoping to see him at the the annual BotCon convention ever since it started 20 years ago in 1994. He should be reassured that he will be treated like a rock star, and of course with great respect and admiration... not just for Transformers, but for his vast, long career and many many roles on TV and Movies. Thanks again, it has made my week to hear that there is hope for a future appearance of Frank Welker at the Annual Official Transformers Convention... and I think/hope he would like it too. 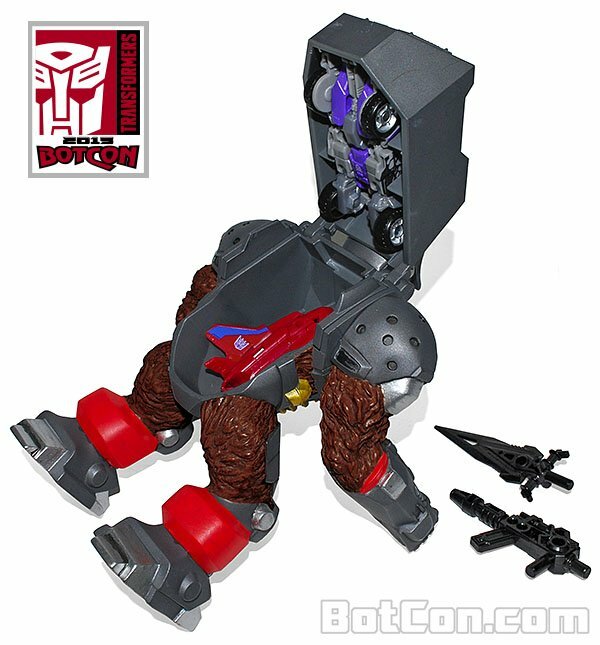 The first Boxset toy is revealed - Packrat, the thief, from Generations Deluxe Rattrap toy. The entire rear end of the rat mode is white, which looks wrong. The original Packrat toy only had the tail white, and that was only because of gang-moulding requirements, so painting more than just the tail on this one doesn't look good, and doesn't homage the original toy. 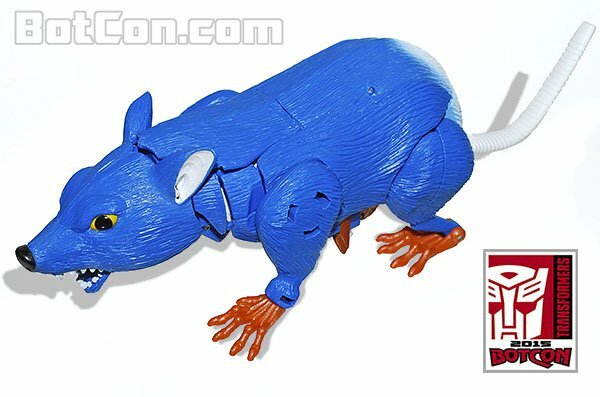 If they wanted to break up all that blue in rat mode, then maybe a lighter shading of blue air-brushed from one direction to give it more texture and shading. When those mugshot cards went up and Packrat was confirmed from the toys that were accidentally shown on the Podcast in January, people starting to work out what the letters and numbers meant... because they weren't just random. The white numbers at the top appear to refer to original release dates or appearances of the toys these ones are homaging, along with an allegiance letter. While the numbers at the bottom is the starting date for this year's Convention, with the State (Illinois) in red, and the last bit at the end is possibly telling us if the toy has new parts or heads. 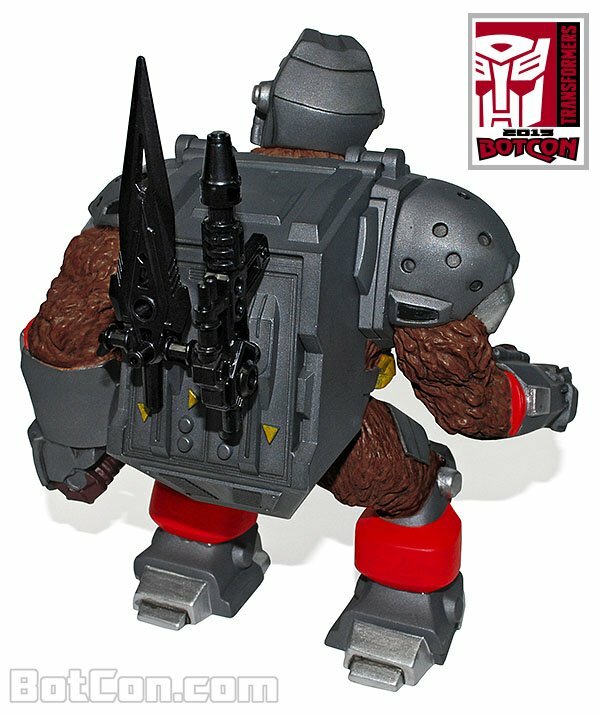 This was Packrat, and the serial number is - 718-2197 (almost the exact dates of the 1997 BotCon - July 18-20, which was when the original Packrat was released), M (the allegiance), AO: STGN (could mean a standard toy that Got Nothing new added). The serial number - 591 (May 1991 - not sure why this date is chosen... it was the month of Issue 80 but wasn't the only comic issue with Battletrap), 96 (Battletrap was D-96 in Japan), 87 (the year it was released as a toy by Hasbro), D (Decepticon), AO: STHD (possibly means that it is a Standard Toy with a new HeaD). This one ended up being Shattered Glass Stepper. 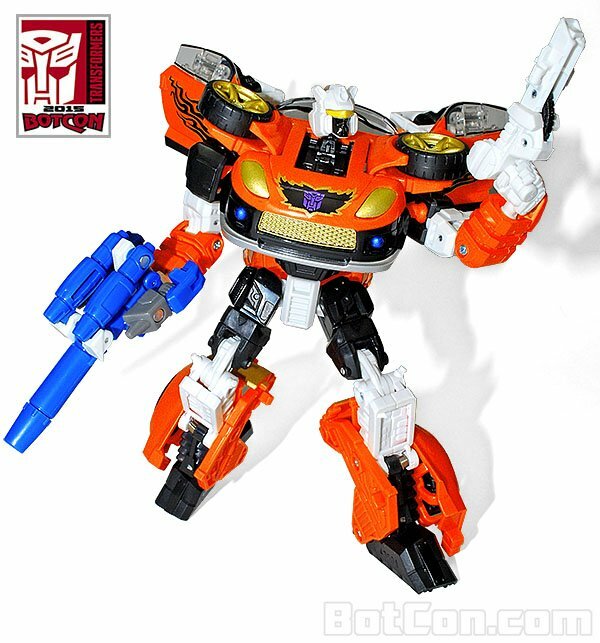 The serial number - 426-2912 (dates of BotCon 2012 - April 26-29, which I think was when Shattered Glass Stepper was first seen in a FunPub Comic), S (Shattered Glass), AO: STHD (could again mean a standard toy with a new head). This one ended up being Megatron, who was a blend of Gen1 and Movie Megatrons. 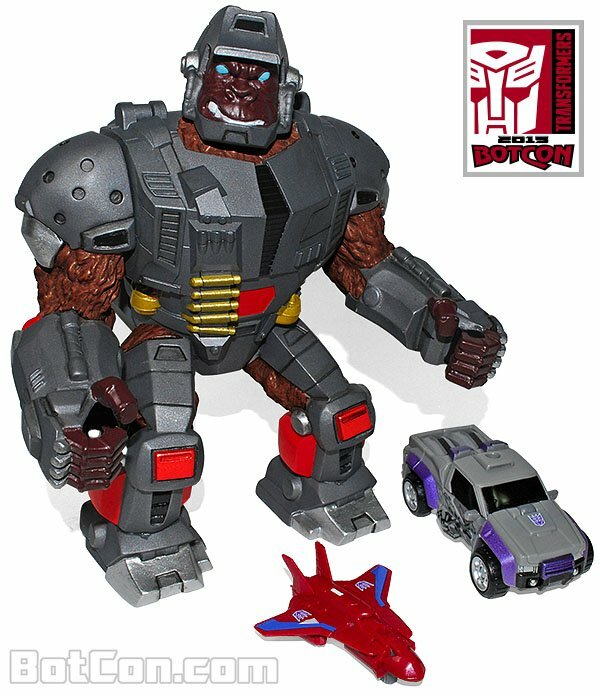 The serial number - 62811 (the release date for TF3 Movie which featured the truck version of Megatron being homaged by this toy), 484 (April 1984, probably refers to a cartoon or comic release date when Gen1 Megatron first appeared), AO: STHD (Standard Toy with a new HeaD). This one ended up being Oilmaster. 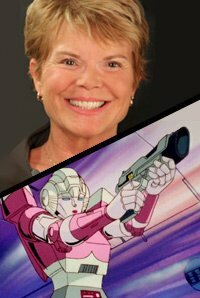 Second guest announced - Sue Blu.... voice of Gen1 Arcee, and Voice Director of Beast Wars and Animated. 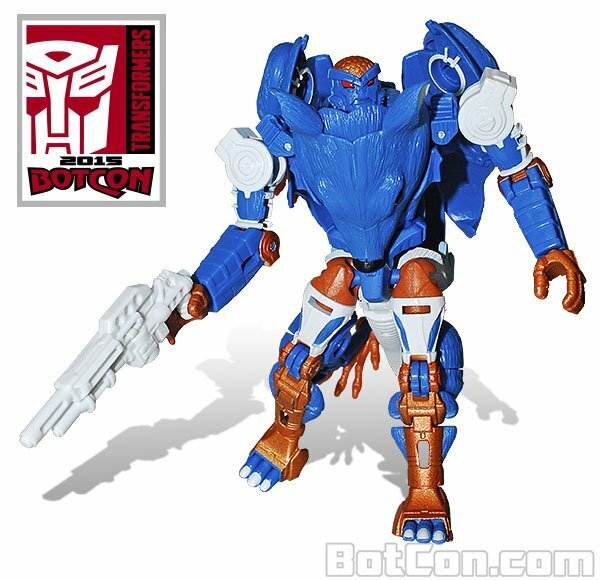 Image of a blue/grey redeco of Generations Chopshop and noted as NOT being from the Boxset... so is either part of the Attendee toy or to be purchased at the Convention. 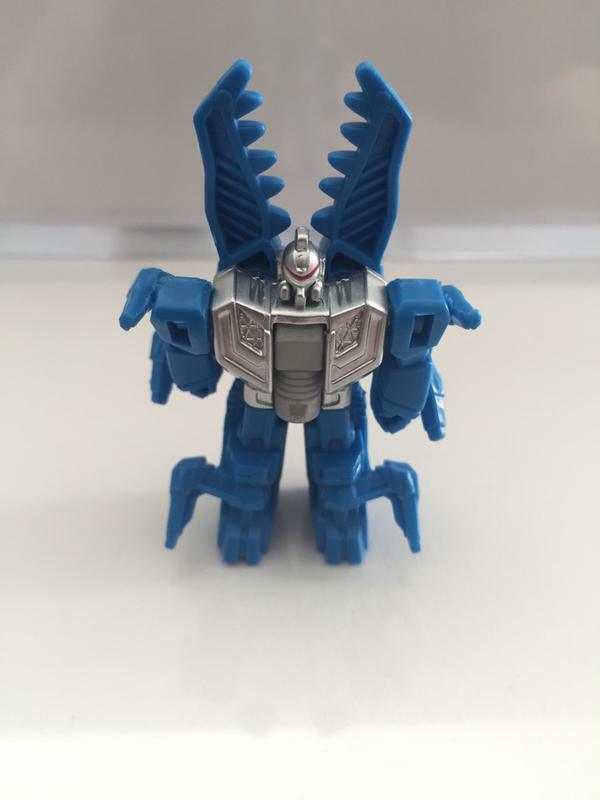 Some people on other sites are saying Vice-Grip (the 1998 BotCon toy)... but the colours are reversed (it had a blue body and grey limbs). Others are suggesting Shattered Glass Chopshop. Some are commenting that it has been a while since FunPub have produced their own unique character toy... as they keep homaging Hasbro characters, or producing mirrorverse versions of them, or as we saw lately, homaging a lot of their own BotCon characters. Are they unable to come up with anything original anymore, or did their last original effort (Landshark waaay back in 2009) get such negative response that they've decided it is safer to just produce toys of existing characters. Or maybe the BotCon feedback forms keep asking for toys of existing characters rather than original ones. Over half (52%) of the pre-Funpub era were completely original characters with original names, and only 30% were based on pre-existing Hasbro/TT toys or characters and concepts... compared to the FunPub era of just a mere 5% of completely original characters & names (11 of 231), and a massive 93% were based on pre-existing characters & concepts (214 of 231). We tweaked quantities on the souvies as well so don't expect to see extra's in the store. Probably 1500 or less of each, compared to 1600-2000 of each last year. Obviously, the numbers weren't reduced enough because nothing sold out, and only one of the three at-show packs looked to be reduced as one was 2,000 units, one was 1500 units, and the third set was 1100 units. If FunPub were smart, they would reveal the at-show toys before registration as well, not only to get the fence-sitters signing up just to secure any popular at-show toys, but also to focus on getting people more interested in the less popular at-show toys. We've had years when at-show toys have sold out fast, or even out-sold the number of boxsets produced that year, which could have helped FunPub with attendance numbers in bad years like this one. They only need the attendee and Custom Class toy to be a secret, for that surprise element of the show... as people need a good reason to spend hundreds or thousands of dollars to attend, and keeping too much of the Convention secret is like a lucky-dip suprise toy... you don't want to risk too much money on it. 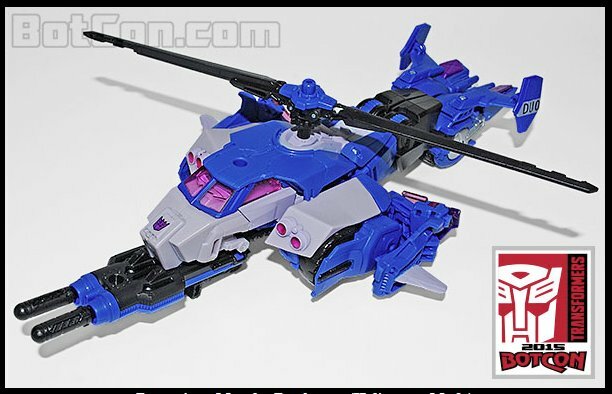 I'm someone who does love the surprise reveal of toys at BotCon, but I don't want two-thirds of the toys kept secret if I'm spending a couple thousand dollars on a trip... or for other people back home who only get about 24 hours to let me know to get one for them. 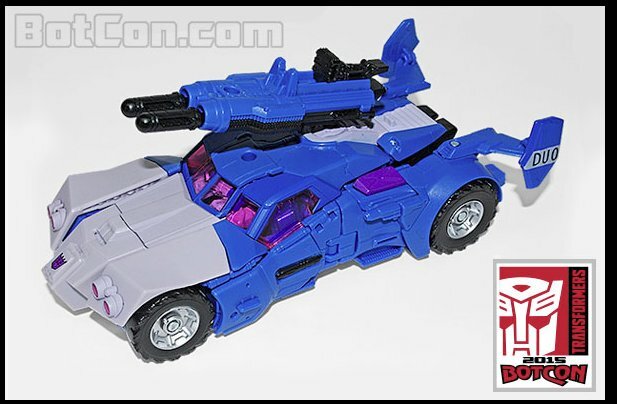 Looks very nice, but doesn't make me think of Gen1 Battletrap. Today I booked and paid for my trip... even though the Brochure and events have been officially revealed to know for sure how long I need to be there for. I would prefer to wait until Registration is done and confirmed before booking flights (in case I miss out on something, or something prevents me from Registering before it sells out), but in recent years the registration is getting too late to be able to do that, so there is a lot of guessing and risk locking in travel before then. I was just at the travel agent two days ago, asking how likely they thought there might be a sale on soon, because I saw on the airline website that there were heaps of seats still available for June. With the exchange rate stopping a lot of people going overseas at the moment, I figured that the airlines had to be looking at some discounts soon. And sure enough, two days later... QANTAS knocks off $400 from their return tickets to Los Angeles, and V-Australia is apparently the same. So two days ago I was looking at $1965 just for Brisbane to LA and back... but today it is $1564. AND because of the peak/offpeak cutoff, if I fly out two days earlier than I was originally planning, I would save another $360... now paying $1205 for the international Return flight to LA. So with little time to think about it, I had to decide on adding two extra days while I was at the Travel Agent, and that meant choosing where to spend the extra days. I didn't want to spend more time in Indianapolis (I was already stretching it with 2 & 1/2 days there), or Chicago (in case the Pre-Con tours has something that I had on my list to do and I have to fill in an extra day)... so I had to consider spending a couple days in another location. Which was sorta okay with me because I had already looked at trying to fit an extra location just to give me a new US State to visit. To remain close to Indianapolis and Chicago, the options were narrowed down to Detroit and Milwaukee. Both cities had something notable about them, but not a lot to do as a tourist. In the end it came down to price, as the Travel Agent was quoting over $800 in flights and accomodation to Detroit for 2 nights. Milwaukee was slightly better at about $500. Looking back at it now, I don't think the Travel Agent's accomodation 3rd party agent was giving them access to cheap rooms, as the more expensive rooms would earn the 3rd party and travel agent a bigger commission. But I'll always use a Travel Agent for international travel, as it is too risky to do myself and hope I haven't missed something... and when you are overseas, it is good to have that emergency contact when something goes wrong (even if you have Travel Insurance... which everyone should get when travelling overseas). There was a new promotion at Flight Centre called the "Captain's Premium Value Package". It cost $99 and gave me a $150 accomodation credit (at Milwaukee... which is probably why I was only offered expensive rooms to make sure I'd still be paying a fair bit after the credit), and it gives you a 30-day price-drop guarantee (if I'd booked two days ago I would have been refunded about $400 and it was unlikely to drop any further in the next month... but at least it got me $51 off the total price from the accomodation credit). Check-in at Hotel - Night 1 at Indianapolis. Check out the Transformers exhibit at the Childrens Museum & the Downtown area's historical sights. Probably checking out the Indianapolis Racecar museum. Check-out of Pheasant Run Resort as late as allowed. Make way to O'Hare Airport, with plenty of time, to be there by 2pm. Basically it helps me visualise where I am on each day, what is necessary on certain days, what amounts of times I have at each location yet to fill with things to do, and where the flights are located so that I give myself enough time to get to the flights or the connecting flights. The first image is the rough map I do up first with ideas of what I want to do, allocating the BotCon days with orange first that I need to work around, and the amount of days in yellow that I originally plan to have away from home/work (which I added an extra day that year when I squeezed in Florida at the last minute for the Transformers Ride). 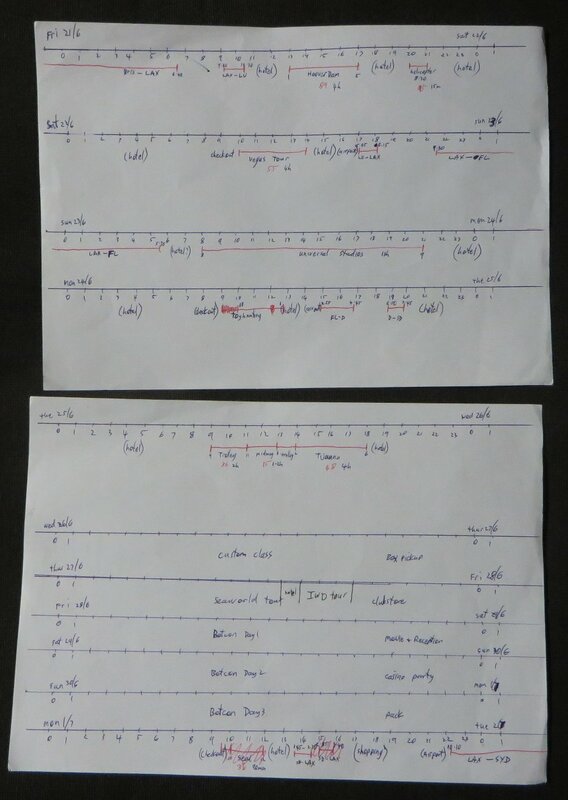 Once I have the flights booked, I then do a proper timeline (second image below) and fill in the gaps as things are looked up and confirmed. 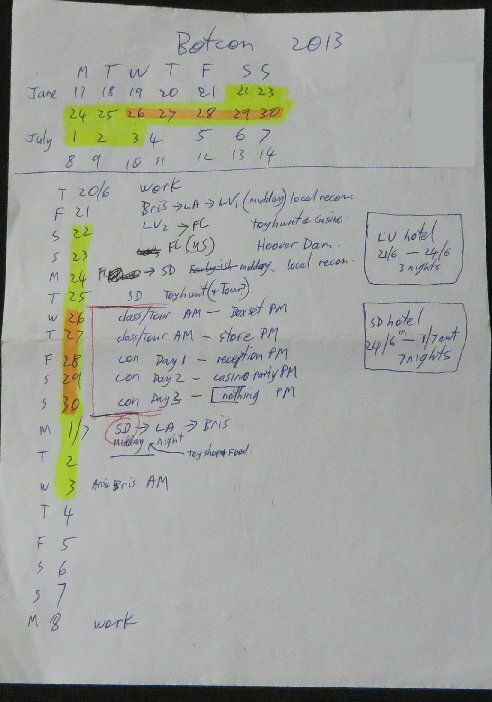 This third image shows a different way of doing the timeline, which I needed for 2013 because of how much stuff I had crammed into the first five days. Even still, a number of proposed items that were not paid or booked had to be abandoned due to running out of time (or being just too tired). So it is always recommended to have extra items available to you that aren't a high priority, to do if you have time, but if not, it leaves you with a buffer zone if things run late on your priority items, or you just need a rest. Pre-voting is the nominations round that certain American fansites are invited to submit a shortlist of nominees, and later the actual vote is likely to occur through facebook or the Transformers App. So this year is a little different, as there are two extra categories of other things to vote for. That third one is an unusual category, but I like that the fans have a vote on some humans now, as I've been recommending this for a couple years now. Maybe it will open up some other Human categories in future years, like Best Designer, Best Voice Actor, or Best Artist/writer/etc for comics. 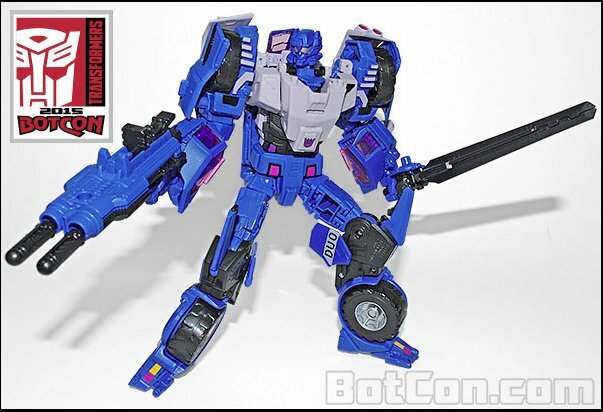 Third toy revealed - Loose Cannon - Shattered Glass Stepper with Nebulon. The orange reminds me of some Euro Gen1/Gen2 toys, but if the gold colourings work, they will pop out nicely. On the unveiling video it is said that this toy was done because they wanted a second chance at doing a Mirror Universe Stepper/Ricochet toy, apparently due to them running out of time on the 2008 version (they do too many toys each year, which causes delays or diverts resources from more important elements of the actual Convention). So now this Stepper toy has been written as being Ricochet's brother in the Mirror Universe, which will confuse people who try to follow the technicalities of Transformers, or cares about FunPub toys. In the existing toy universe of Hasbro/TakaraTomy, Stepper IS Ricochet (like Convoy is Optimus, or Jaguar is Ravage... even TFWiki retconned Stepper into Ricochet so that they were on the one page - - which in my opinion, the character pages should be titled according to their first official name, otherwise they have to keep changing Character pages whenever an existing Japanese character gets a Hasbro name years later, but that's sidetracking a little). 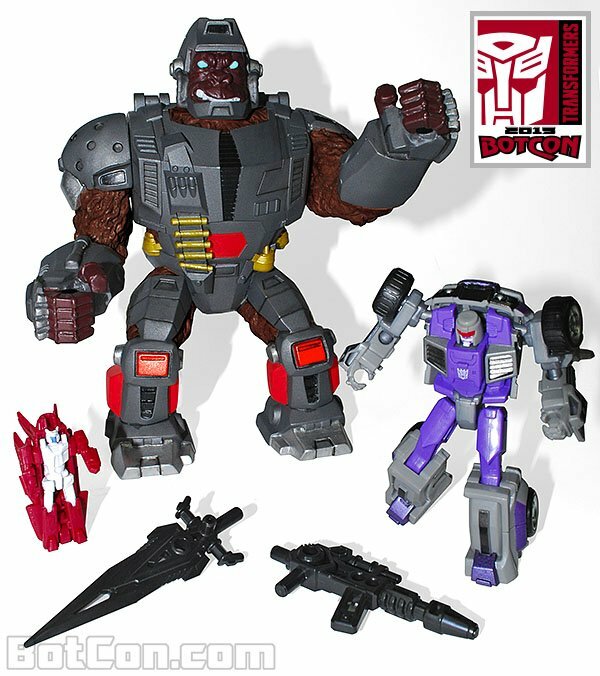 Now in the Mirror Universe, they are separate characters, with Ricochet being a maroon toy for BotCon 2008, and Stepper being an orange toy for BotCon 2015. So does that mean other Hasbro characters that have different Japanese names (like Convoy, Bumble, Jaguar, Lambor) will start showing up in the Mirror Universe as separate characters? 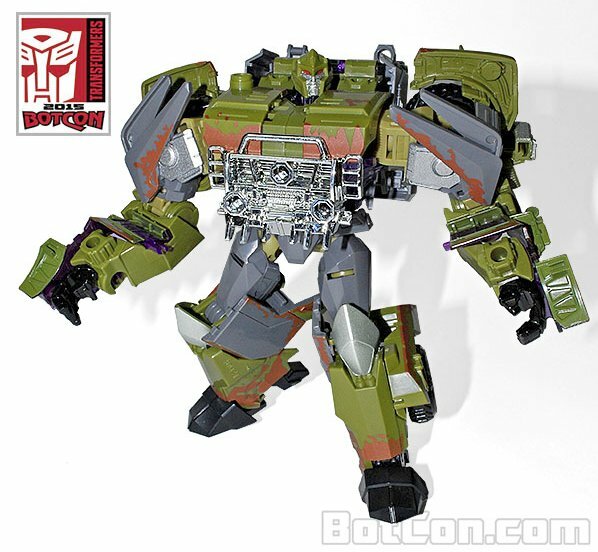 Fourth revealed - The Boss - Megatron from Breakdown done in an army camo style pattern, as a homage to TF3 DOTM Megatron (the one that was a rusted old tanker truck). He comes with three microns, Scalpel (white), Boombox (black) & Heavyweight (pink). The head is a combination of movie and G1 style... but ends up not looking much like either. It's worth noting that Pete has mentioned on TFW that it is NOT the Silas Breakdown version of the mould... there is NO human in the chest. 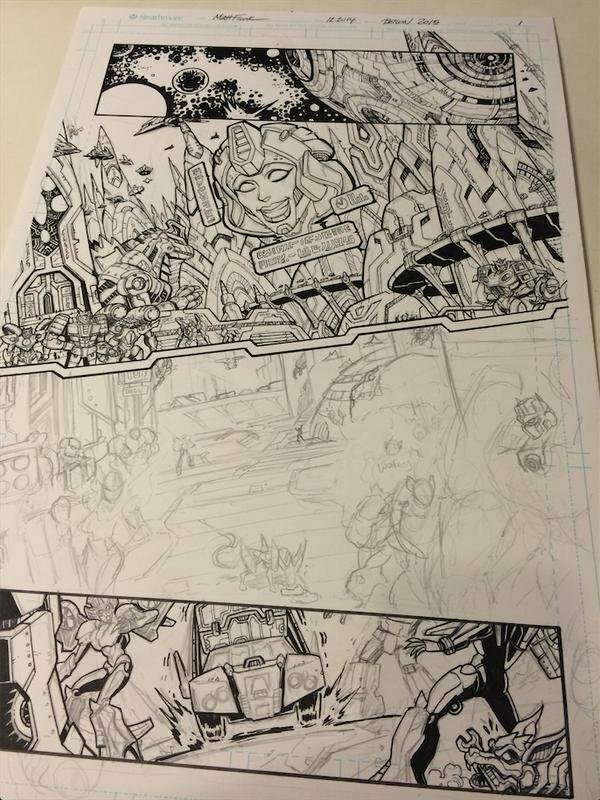 Comic teaser of Packrat and Megatron was tweeted. The comic this year is drawn by Matt Frank. It is said that the VIP events won't conflict with Golden Ticket events, and that the Brochure will be released soon. I fear that these Friday and Saturday VIP events are going to be during Convention hours and clash with panels, like one year when they had a limited Peter Cullen Autograph session for winners of a random drawing. It would be really hard to sacrifice part of the $400 convention ticket for part of the $200 VIP ticket. In addition to that, if you pay $300 for a Golden Ticket and you miss out on several panels, you are missing out on one of the important elements you are paying a total of $700 for (front row seating). A pity that we've only had two guests announced so far, and if they don't announce more before Registration starts, they are going back to the usual formula of expecting people to hand over hundreds of dollars without knowing much of what they are getting. Hiding 2/3 of the toys and most of the guests until after you commit to the Convention, is not a way to convince people to spend several hundred dollars to get there and attend. They have so many fence-sitters each year, and critics who would commit to attend if they knew more than a third of what they were spending their money on. Frank Welker is the "grail" of Transformers guests, and I can't see FunPub being able to top that in future years (as those Voice Actors keep dying off) unless they get in some of the live Movie stars (who would cost a fortune). A very Gen1 theme this year with the Voice Actors, with other series only included from these three people returning to Transformers later. Final boxset toy reveal - The Bounty Hunter - Oilmaster. redeco Legends Swerve with mini "targetmaster" & new shell based on 1996 prototype. I like the idea of it, and would have loved this if it were done by 3H, or even just five years ago before FunPub lost its gloss, so it's tainting the excitement a little for me. I accept that it is a necessary evil though, as FunPub are currently the only people who would get approval to produce these sorts of things officially. Just noting that Boss Fight Studio were responsible for the Pretender shell. They have been the ones producing the various new heads for FunPub in recent years, and they've been doing full figures of non-Transformers characters in the past... and this is a fairly simple design (5 solid pieces of plastic with a hinge on the back and moving arms and head). 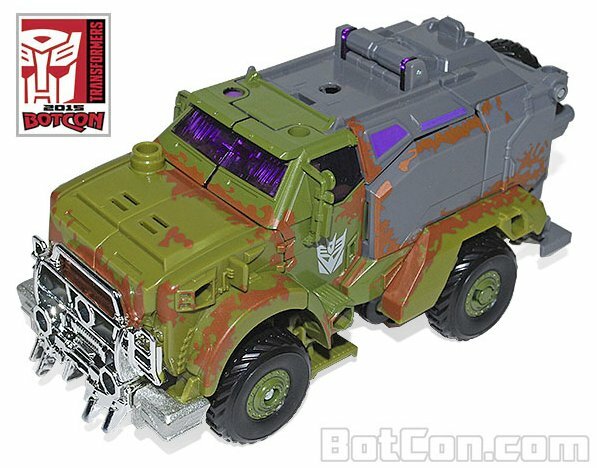 So with Hasbro approving this pretender shell, it opens up the door for more non-convertible items that are done by a licensed third party - like more pretender shells and maybe even Actionmasters. The art from the front of the box was released. I wonder if they will rush out the Registration for this weekend... or give people a week to digest the brochure. I'm hoping it is next week, as I'm currently in Hong Kong and it will be more easy to register back home. They said that they would be trimming back on toy numbers this year, but maybe they only meant the at-show toys, as the there are double the amount of loose sets to last year, which would mean a LOT less boxsets than last year if the total number was indeed reduced. Last year had 250 loose sets and 1600 boxsets. This year has 500 loose sets, which would mean 1350 or less boxsets if the number is equal or less. The boxset price is lower than I had predicted, but not by much. The two pre-con tours are pretty much what I expected from FunPub, as they seem to take the easy option for the tours instead of looking for something that might interest SciFi & Toy fans that make up the Transformers fandom. The increase in Golden Ticket price AND an additional 10 tickets available, is a lot of extra money for them... which I hope is helping pay for the guests like Frank Welker. Seeing that the Golden Ticket gets you a photo with Welker and an pre-Autographed item from the GT Reception, plus front row seating at his panel (in front of the VIP ticket holders), I'm not sure if I might get the VIP pass now. I don't need a photo with him, let alone two if I already get one with the Golden Ticket, and I don't need another item autographed (the GT gets you one already), while the exclusive pin and print isn't a big deal as they would end up being thrown in a box somewhere when I get home. The Saturday night dinner looks to be described as a more formal event this year, which I like having something mature/serious at the convention. Some interesting bits about this year's BotCon. Hasbro/FunPub are again prohibiting unlicensed/unauthorised toys based on Transformers characters... which they did a few years ago, but then went back to not caring in the last couple years. Plus, Jon and Karl Hartman have decided to sell off the rest of their collection at this BotCon, covering 1998 to 2006 when they stopped obsessive collecting. It was also the year that they sold off the first half of their collection of pre-1998 toys, and a lot of good prices were had by many. I'm surprised that they sat on over a thousand toys for the last nine years, and it is sad that it is them finally done with their collection... and I hope it isn't the end of their interest in the hobby, after being such iconic collectors in the fandom, who set the bar in terms of sheer numbers and rarities for the rest of us to ever hope to attain. FunPub tweet - Registration won't be this week. Fellow Australian reillyD decides to go this year. FunPub email saying that the Hotel is completely sold out, and that they aren't able to set up a second hotel with a discount rate. 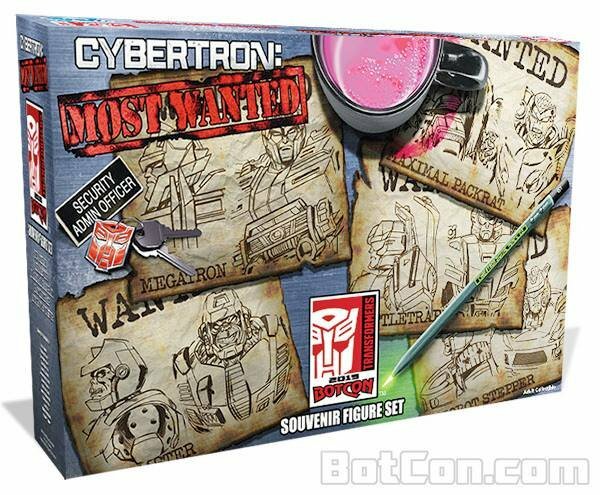 The title on the box has been changed from "Cybertron's Most Wanted" to "Cybertron: Most Wanted" which bugs me for being bad grammar. Maybe it's copying a TV show title, but I don't recognise it. And just like in 2006 (which was the year I missed going to BotCon), they won't be taking anything home, so they will be priced to clear. Karl Hartman has noted that almost everything is retail versions, but there are variants... so I'd expect that some variants are rarer than others. They don't yet think there will be anything super rare, but if they do, they will mention it. This year's Registration is now officially the shortest period before the Convention starts... and there has been no hint at it starting in the next few days. I feel bad for those who will be going for their first this year, because it is so much more of a panic organising your travel plans before Registration has started, because you don't know what you are in for before you have to lock in your expensive travel & accommodation. I remember how bad it felt in 2010 when it felt like last-minute for me, but I didn't realise it was still 6 weeks before the convention. Back then I would wait until Registration before booking flights, so that I didn't spend more time than I needed (or not enough time), which means missing out on cheap seats or whole flights when it is that close. Now that I plan and book before Registration (and look for options to fill in time if needed), I don't get as stressed out as much... but I'd be a nervous wreck this year if I had waited. A Black Skids toy is found on an asian sale website, and assumed to be a BotCon toy. We are in final testing for the registration system now. So I'm gong to say it won't be up this week. I'll give you an update at the first of next week. Thanks for your patience! So, another week wait... and that's IF it is ready by next weekend. Monday will be 30 days before the start of the convention (which I count as Wednesday, as there are events and package pickup on that day), so if it is next Weekend, that will be just 25 days... or a little more than 3 weeks for most people to head off to America for the convention. Where has all that money from online processing fees gone? They never charged a fee when you had to fax in the forms, so after 10 conventions in the last five years of at least 1000 orders each time (probably a lot more than that), with at least $5 processing fee... that's well over US$50,000 raised just from the fee that was supposed to be a one-off fee in 2010. At least with the manual registration method before 2010, it was out fairly early... usually 3 months before the Convention started, so it was enough time to know what you are signed up for (or if you got a boxset to be worth going), and still get the cheaper airfares or wait a 2-3 weeks for a sale. So maybe FunPub should consider falling back to the old manual method (allowing for emailing in copies as well as faxing), if the online Registration website isn't working before a set date (like 2 months before the convention). 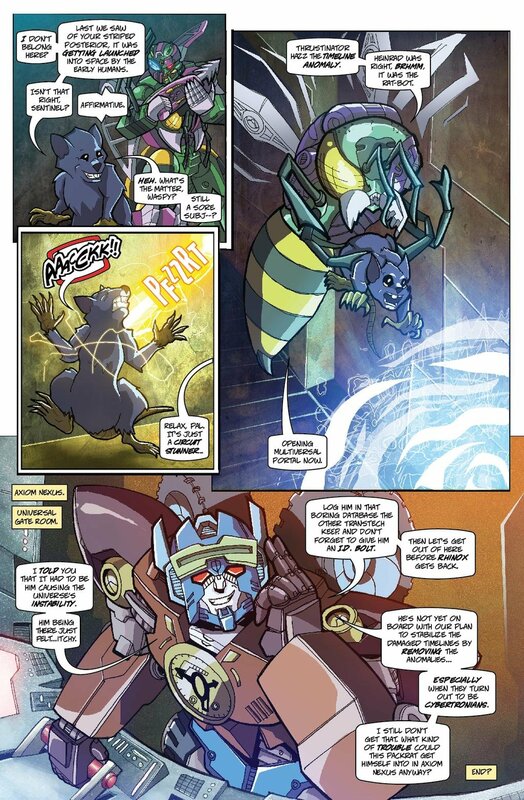 A 3-page prelude to this year's BotCon comic was posted up on twitter between May 14-19th. 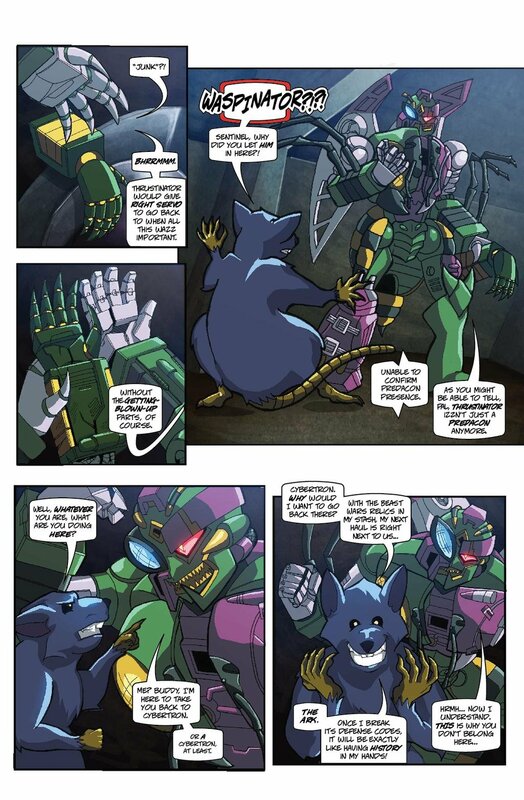 It isn't in the BotCon comic, and just gives us a little look at Packrat. A fourth feature guest has been hinted, but not yet revealed. For those still weighing up their options for getting between the airport and the Resort, FunPub are still promising to provide details or a discount. There will be a three page preview of the actual Convention Comic later this week. The Saturday night auction is regular cash, not "Casino Dollars", as there doesn't appear to be a Casino night this year... and they will take credit cards. I wonder if there will be some sort of credit voucher for Golden Ticket holders in place of the bonus Casino Dollars in previous years. When there is a Casino night, Golden Ticket holders get $1100 Casino dollars in their Primus Pack for the auction, compared to just $100 Casino dollars for regular Primus pack people. Give yourself 20-30 minutes for this, as I just did mine and they are asking a lot of information now. A lot more than the previous three times I applied (and the first one was free before the tax was added in 2010). It makes me concerned that they are demanding so much information now, in place of that one small piece of paper you used to have to fill out and hand in. 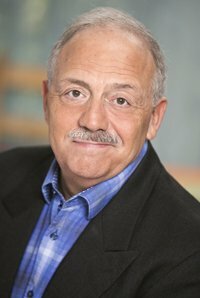 There is so much information being asked that is just for them to create a massive database of interlinked information of people for intercepting or tracking down terrorists... which feels like a massive invasion of privacy for those of us who are law-abiding citizens just visiting for a toy convention. At least a number of options allow for "Unknown" to be added in some of the "required fields"... so click on the blue question-marks to see what you can fill out with "unknown" if you don't want to give them so many details. 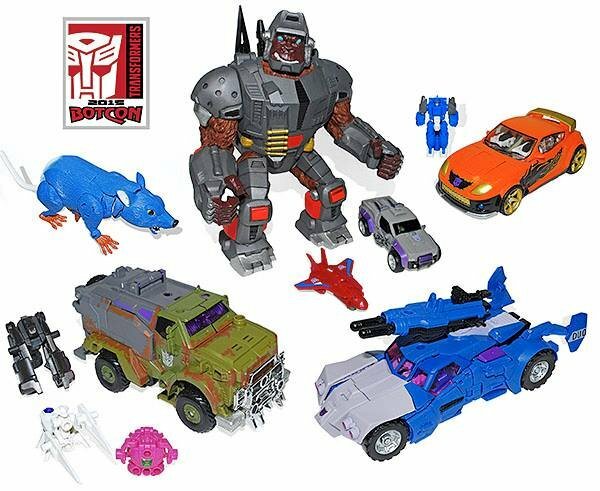 Looks like we might have some more at-show toys leaked, with an army camo VOY Roadbuster and four different decos of the GEN DLX Waspinator toy showing up on some Asian sites. The Roadbuster is guessed at being a homage to the unreleased Gen2 Optimus toy, while the Waspinators are mostly a mystery with only one that people can agree on (looks like the Fox Kids Transmetal Waspinator). 3-page preview of BotCon Comic is released. 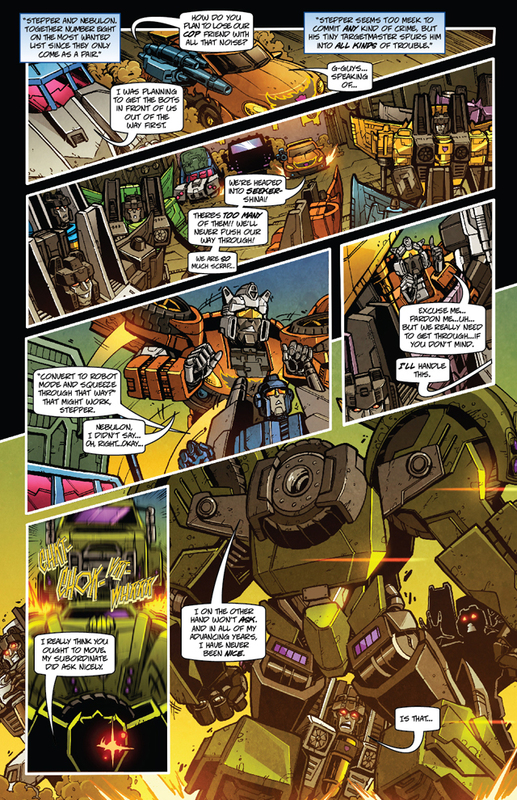 That final page was removed and then edited to hide more of the character in the final panel, as people were able to guess that it looked like the Generations Deluxe Scoop toy (who was suspected to be a homage to the Gen2 Sergeant Hound toy and be a partner toy to the leaked toy that looked like Gen2 Optimus). 27 days till the start (according to the countdown clock on the BotCon site)... and still no registration. Between this last-minute registration (for dealers and attendees), the ban on 3rd party products creating a backlash after two years of allowing it, having no rooms at the hotel left, and being in the middle of nowhere (impacting on walkin numbers)... I can see this BotCon being very quiet this year, and a much smaller dealer room (because dealers need time to organise themselves, and if registration is too last minute, some will just not bother). Todays update is releasing images of the hat and t-shirt for this year, plus a group shot of the boxset toys. Their business hours in Texas are about Midnight to 9am here in Brisbane. We tested final Registration system yesterday. Couple minor issues need to be addressed, but no way to have ready by this afternoon. Hopefully things should be ready to roll right after the Holiday. I don't like the sound of their "hopefully"... as it is not very inspiring coming from them. That's going to bring it down to about 20 days before it starts... and little over 2 weeks before flying over there for most of us going. 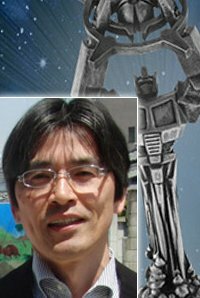 Six hours after that announcement, another Guest is announced - Kojin Ono, the designer of the first Transformers toy (Sunstreaker) and more Transformers toys over the last 30+ years than we will ever know. Two hours later they released a youtube video to show how to fill out the new Registration system this year. They also released an updated version of the packaging matrix. I only noticed this a couple days ago while using google-maps... a few kms south of the Resort is a large circular shape, and I found out that it is the world's second largest particle accelerator (behind the famous one in Europe), called Fermilab. I was surprised that it was the worlds second largest particle accelerator... and it's just tucked away out in somewhere obscure like the outskirts of Chicago. They do tours, but only on certain days of the week or month... so none appear to line up with the days I have free at BotCon. But it is worth noting for any other science geek going, if they have a day spare that has a tour on. They offer group tours for groups larger than 10 people, and I would have thought that it would be a great pre-Con tour option for FunPub (like the NASA tour in 2010)... but I guess they get more people signing up to the touristy things and themeparks, for the out-of-towners. That and Legoand (which someone told me about at this time as well) would have been better Pre-Con tours for Transformers fans than a Mob tour or a boat ride. After staying up all night agian, Registration looks like it might actually be today, as the FAQ is updated to say that it should be starting today. 5am Brisbane time - a BotCon tweet is warning us that we really should watch the instructional video if we haven't already. My credit card and phone are ready... but if it is anything like last year, the "soon" warning was still several hours before it started. 5am - The link is up for registration, but isn't working for me yet. Eventually it finally starts loading but is very slow. It keeps timing out it is so slow. 5.30am - The system is switched off with only two people actually getting fully registered. 6.30am - It is turned back on. 6.40am - And turned back off due to Credit Card processing company being down. 7am - Email from FunPub (4pm their time) saying that if it isn't back up in 30 minutes, they will try again tomorrow. 7.30am - Just before the deadline it was turned back on. 7.35am - Aaaand it crashes completely this time on its own, and FunPub sends out an email to say that they are done for the day. It looks like Galvatron has hit the shortlist after Nimoy died the month before the first round of voting occurred. 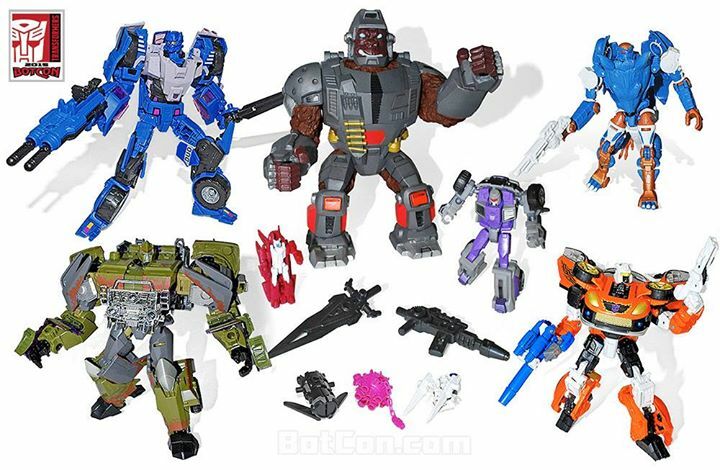 And the character images Hasbro have used for most of the six robots are funny, as four of them are either unrelated (TFPrime Predaking, TFCyb Optimus Prime), or from an odd series or version (TFEnergon Galvatron, FOC Bruticus). 1.15am - turned off again due to being slower than it was yesterday. 3.30am - turned back on. Finally it is working for people according to postings on global fansites... but not for me for almost 20 minutes with Firefox and my phone. It eventually worked with Firefox, but the new Registrations program doesn't allow for editing or adding once completed, so when I rushed through it to make sure it didn't crash before I finished, I accidentally chose the wrong T-shirt size and missed adding on the Custom Class toy (which I don't recall seeing, so maybe that module wasn't there at that time). Non-attending people were not allowed to Register on this first day. I asked by email - Once registered, is it not possible to add items with this new system, like you could with the old system? And got this reply - That’s in version 2 so for this year, just call next week and admin can add the items for you. So next year we will probably be going through the same hassles then, as their planned "version 2" will allow people to add on items later themselves, and FunPub proabably won't work on it until it is time to start registration next year. It was back up later that day. In the first two days of Registrations, there were no updates of how well the Boxsets were doing, like they have done in previous years. People kept going back to the Registration site over the next two weeks to see if anything sold out, but the only thing that sold out this year was the Wednesday Custom Class. I did up all my maps today, after doing searches of the various stores and tourist things I have on my list. I find that if you have limited or no internet/data coverage/plan while in America, you should have in your photo gallery copies of maps you are most likely to use that you can then scroll through as if you were doing it through google maps. And even if you did have an internet/data plan over there, why waste it accessing the maps that you are likely to use several times, when you can have it on your phone like a cache-filed file. It also helps you familiarise yourself on where things are before you get there, as you can do searches for things you want to do or shop, and add them to your map, ready for you to use over there. I did this while in Hong Kong, and it was sooo useful. Not only did I have the maps and shop locations instantly on my phone when I turned it on (without needing to do an address search), but I didn't look like a tourist looking through a paper map (the paper map from the airport was one that I actually used on the phone after taking photos of it). Stores on my list for toys - Walmart, TRU, Target, Kmart/Sears Grand, Walgreens, Kohls, TJMaxx, Meijer (only in KY, IN, OH, IL, MI), Ross Dress for Less (for final wave Movie Power Battlers), Dollar Tree (for 2014 Kreons). Food items on my list - Chicago Style Pizza, Chicago Style Hotdog, Giant Pretzel, Pumpkin Pie. 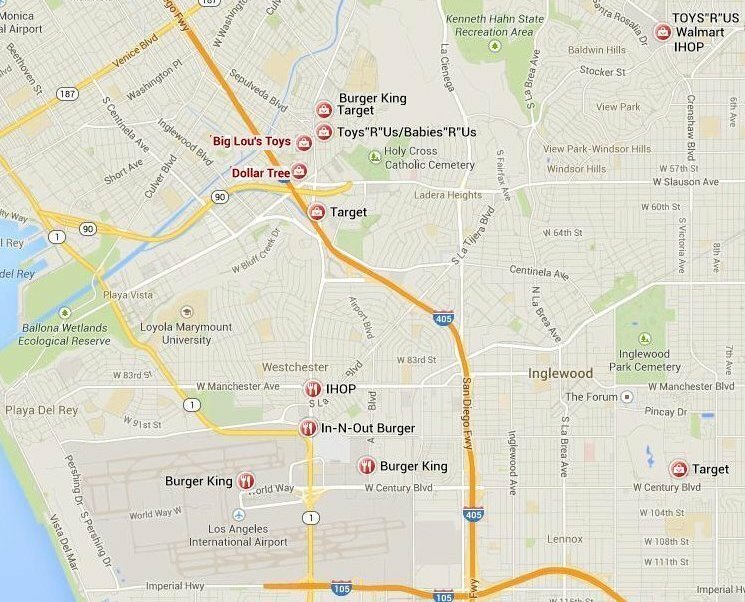 Search for locations mentioned on Man Vs Food, Man Finds Food and Chow Masters. 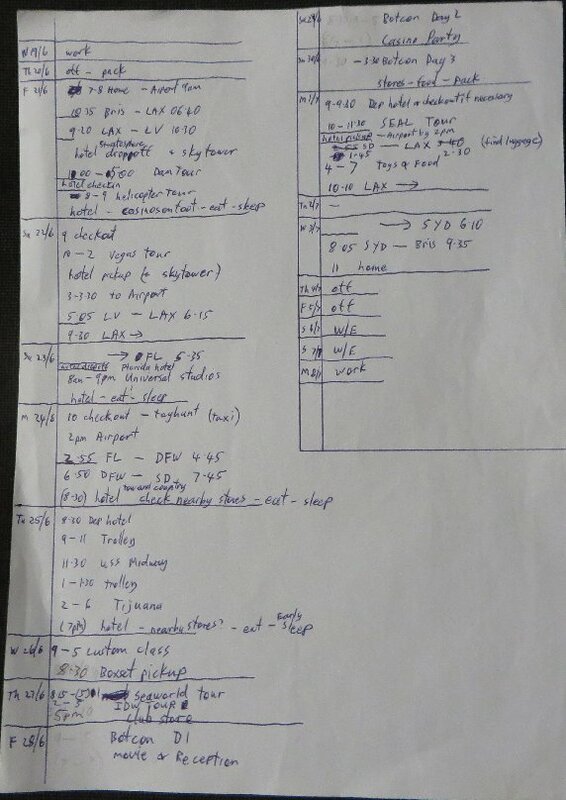 So much pre-planning to do, but it is necessary to enjoy a long-distance trip... after all, the worst strategy you can have is not having a strategy. The Schedule for this year has been released. 10am - PANEL Script Reading Auditions - to select two participants for the Script Reading later in the day. 11am - PANEL The Art of Transformers - a variety of official (comic) artists talk about their recent works. noon - PANEL Script Reading - The Return of Blur - Sue, John, and others. 1pm - PANEL MegaToyCast BotCon Podcast - A live broadcast by a group of fans. As I had expected, the Saturday VIP sessions, which includes all of the VIPs for photos, would mean missing panels, including the Saturday panel that looks to feature the other two Gen1 guests (Sue & John). So it was lucky that I didn't go for the VIP ticket. A lot of fan-related panels this year that aren't news or feature guests... which is nice to have included, but it's taken them 10 years, and of all the years that they finally include them, this year will have the least amount of fans attending who would be interested in supporting these panels. And what is with nothing on Friday night for non-GT attendees. They always have something on Friday night (except 2012, which was their first year with the GT reception, so probably didn't want to stretch their resources if they didn't know how long it would go for). Even 2010 was only empty of items because they wanted to allow people to use the Disney park for its night-time events. I think this will be a point of contention for the non-GT people not having any evening events. I know that there is room-to-room trading that will happen, but that can happen on other nights as well, so they don't need a night completely free of events to allow for it... and the GT dinner/reception is usually only about 90 minutes, meaning that even those attendees have from 9pm to amuse themselves. Apparently IDW are not at this BotCon because they are currently moving offices. I'm surprised that they couldn't send at least one person for a presentation or manning of a table in the Dealer Room... as those two things will be missed by me (their panel is news-worthy, and their presence in the Dealer Room allows me to catch up on all their comics without paying for postage from an online source). Another update - the Trivia contest that was noted in the Brochure for Saturday has been cancelled, and they have planned something "exciting" in its place, that they may not reveal until the Convention starts. With the Registrations being so last minute, all their usual updates of minor elements are now all being crammed into the last two weeks. 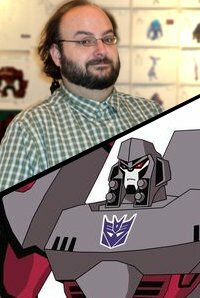 Some time this week the BotCon site was quietly updated with another guest - Derrick Wyatt, who was one of the people responsible for the Transformers Animated cartoon. 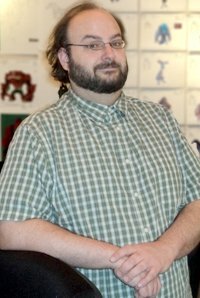 I just want to say, that of all the promoted guests, there was no mention of the person who was actually on the most panels this year - Jim Sorenson... the fan/press/guest/writer/etc attendee who was everywhere you looked at BotCon, including four panels - Club Magazine, Animated, Script Reading, and Transformers art from Japan. 1 - Artists in the Dealer Room. They must be really struggling to sell out this year, as they are now offering Welker VIP passes to Protoforms and Minicons (both of which don't pay as much as they don't get a boxset). Too bad for anyone who didn't want to buy a boxset but were forced to buy one in the first week because it was the only way they could buy the $200 Welker VIP pass. There is only 4.5 days until I leave for botcon, and I don't feel much about it thanks to my treatment from FunPub. I wish I did though because seeing and hearing Welker should feel more special or exciting than this. I will definitely confront them at the Club Panel at the Convention about defrauding non-Americans with excessive shipping amounts that they prevent us from chasing up, because I'm tired of being brushed off instead of getting answers and a solution to prevent this fraud from happening again... as I and other non-Americans are willing to buy from them until it is fixed. Registration has now closed for attendees. Non-attendees can continue to buy Boxsets AND loose sets (still not sold out), but they will be done through the club store. 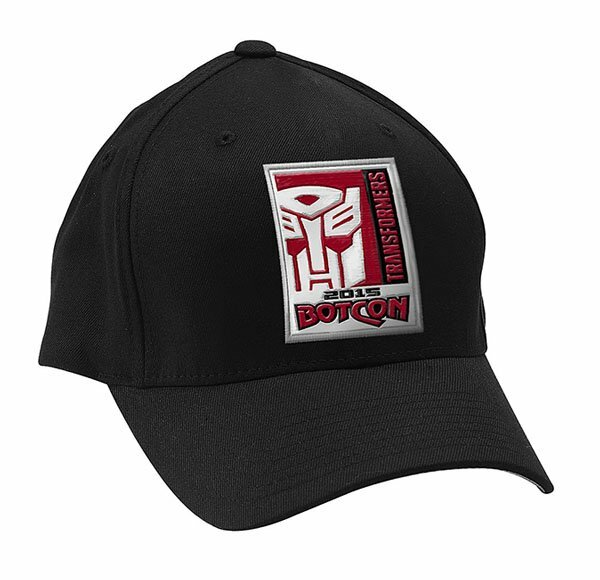 Other BotCon items will be available after the convention, if they are not sold out. 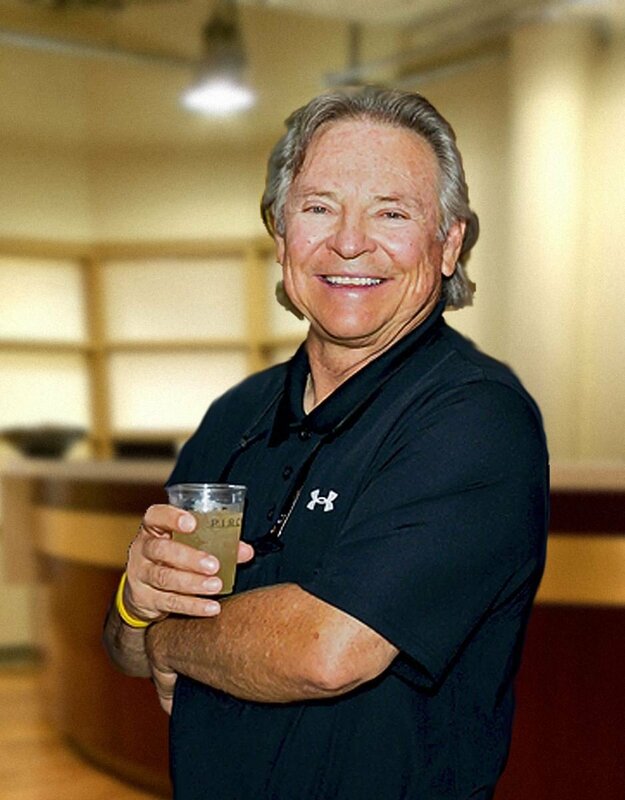 They have also updated the details of the Saturday night events, letting us know that the surprise element isn't something new, but just a fourth inductee to the HOF this year... which should be Frank Welker. We are excited to announce that at the BotCon 2015 Saturday Night Awards Dinner and Auction, the Transformers 2015 Hall of Fame induction ceremony will also be included in the nights festivities. Fans at BotCon will be first to see which character, combiner and musical act will be added to the Transformers Hall of Fame. And as a VERY special treat, Hasbro will also be inducting a human to the Hall of Fame for 2015. This legendary actor has been part of the Transformers brand since the very start. You will NOT want to miss this event! So Saturday night will start with a dinner, then the Hall of Fame presentation, and then the Auction, which is usually done a little later. If it is Welker (it should be), then that will be another chance to see and hear him over the weekend. Also, there must have been some cancellations at the Resort since Registration started, as there was an announcement that some Resort rooms were now available... if anyone still needs one this late. I'm not sure if I should be worried (because I'm staying there) or find it funny (that most of the fandom is now finding anything they can against FunPub), but, two of the major fansites have now posted up warnings about the Resort being listed on a bed-bug registry and having review sites mention them... plus other issues with the site. I don't think I've ever come across a place with bed bugs before, but I think this could be an issue with any hotel, as long as it is an isolated incident and not ongoing. On the one hand, there are only 2 or 3 reports of bedbugs in a year of thousands of guests, but on the other hand, how many other people affected would know about those reporting sites or be motivated enough to find one to report it. It also sounds like the older parts of this Resort (the non-Tower rooms), have reviews noting that the rooms are noticeably run-down and not very well cleaned or ventilated, so when I check-in I might see if a Tower room is covered by my reservation/rate. The reviews on the tripadvisor and yelp (at the Tformers link) were interesting reading, with a fair few rating the staff and administration as very poor, and gave the resort an overall rating of barely average... which isn't a good sign. FunPub have posted up the prices of the at-show toys for this year, for people to plan ahead with. I find it strange that the 2-packs are both cheaper than the last four years, while on the other hand, the 4-pack is a lot more than all previous 3-pack deluxes (at price per deluxe). 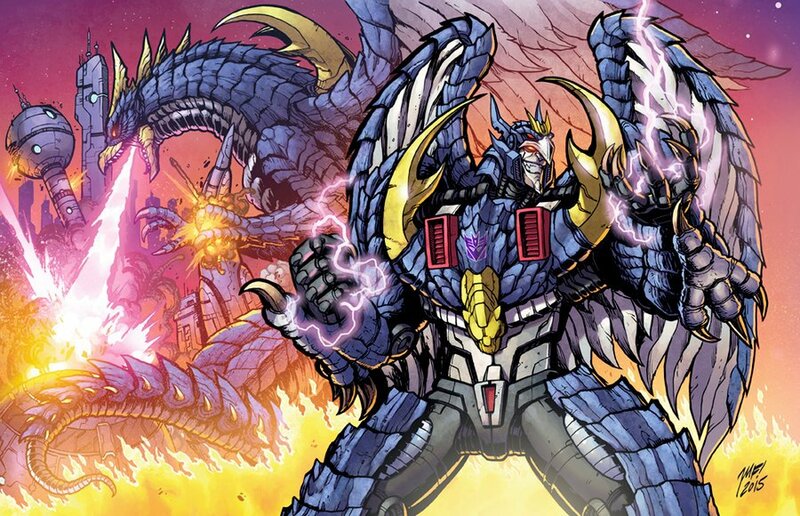 This artwork was released from Matt Frank who is the Artists who did the comic for BotCon this year, but this has nothing to do with the BotCon story. He was just promoting a print that he would be selling in the Dealer Room this year. Starting fresh for their public image I guess, so that it looks like they haven't had any issues and don't need to resolve anything now. Another question that won't be asked at BotCon because their most vocal critics won't attend as it would mean giving FunPub more money. I wonder if they will do the same with facebook. The morning of June 10th is when I left for America. I was up the night before, working on maps, lists and printing out reservations/confirmations. I also took some videos for Youtube that I wanted to upload before BotCon started. My Collection reaching 5,000 Transformers toys in April. I also did up some maps for the Australians staying in Los Angeles before or after BotCon, including some for the toy stores near the airport that I would have checked out if I had had enough time. Well that's it... head on to the next page for this year's adventure to get underway. Go to next day - Wednesday 10th June.